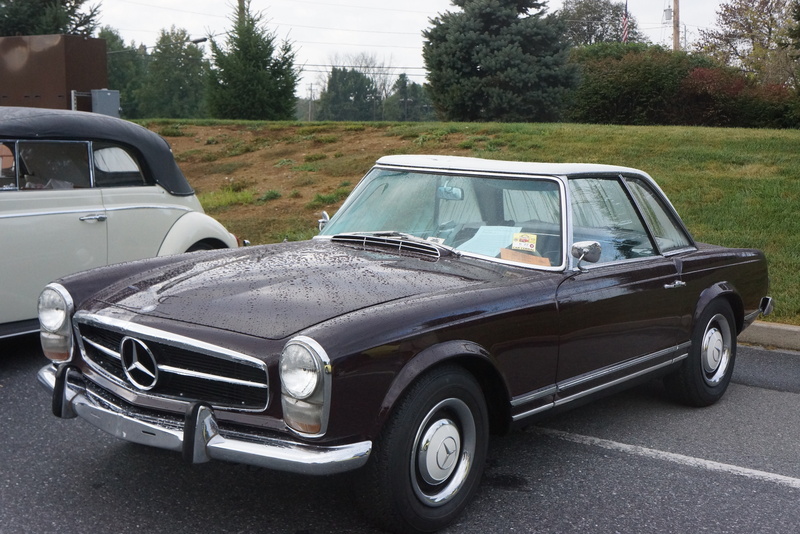 A frequent question I get is “what makes a car a classic?” There is no one right answer. The definition of such a car can be up to you! 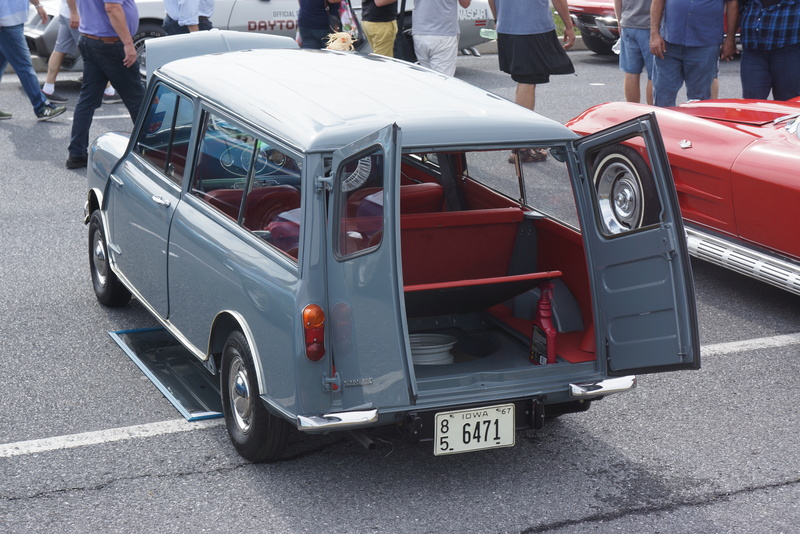 If you think your vehicle is “interesting” on some level, and the car is used more for special occasions (anything from Sunday drives to cruise nights) than as a daily driver, then it fits the bill. 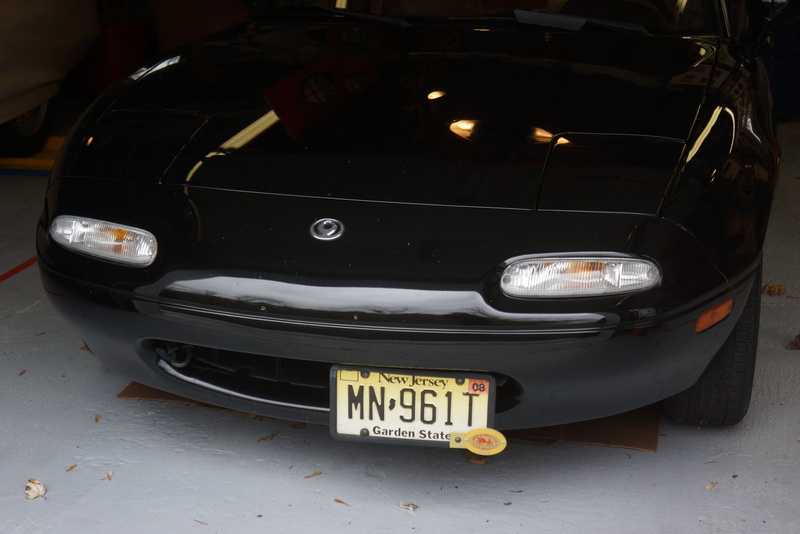 Who am I to say that a 3-year-old Camaro which is only driven in dry weather to GM-themed events isn’t a collector car? Attending various shows around the Northeast bears this out. 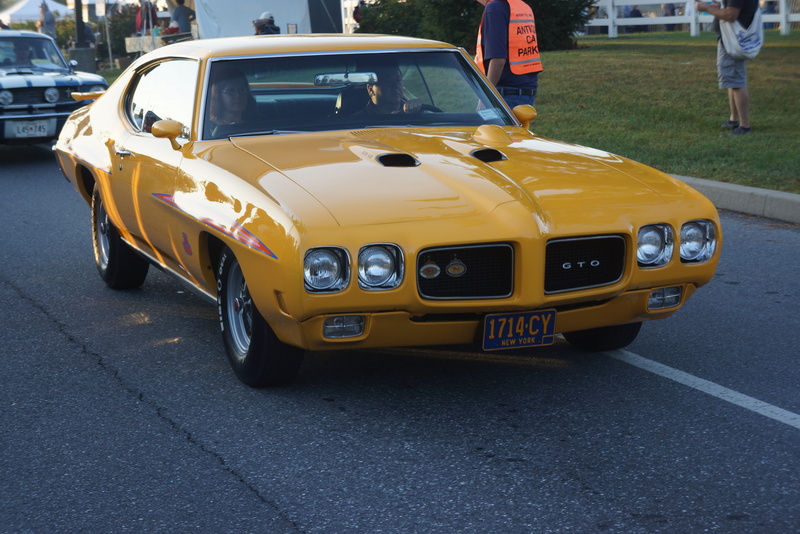 The variety and quality of vehicles at a Boonton NJ cruise night is certainly different than what’s seen at The Greenwich Concours. 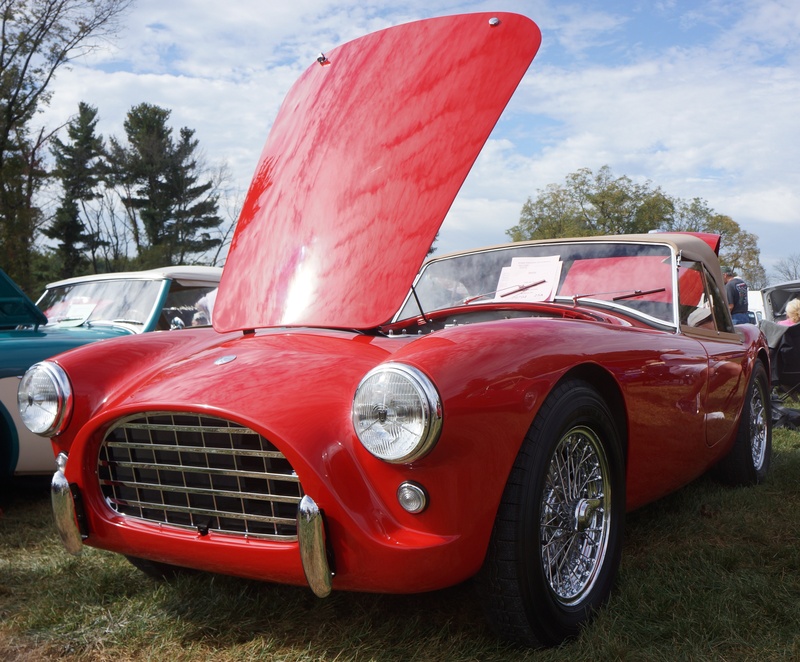 Driving events run the gamut from our own Sunday breakfast cruises (featuring a “run what you brung” mentality) to the million-dollar cars in the New England 1000 rally. Sometimes there are no rules, and other times the rule book is voluminous. 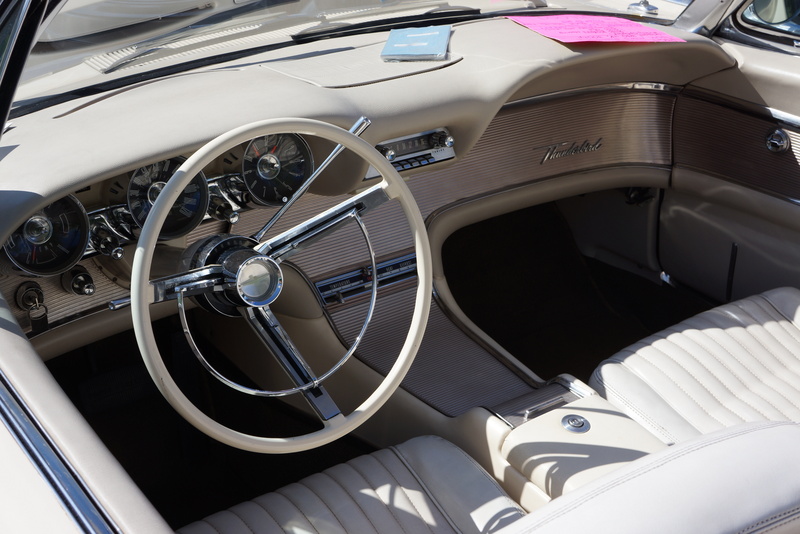 Attendees at Antique Automobile Club of America (AACA) shows typically see cars which have been restored to the highest professional standards. 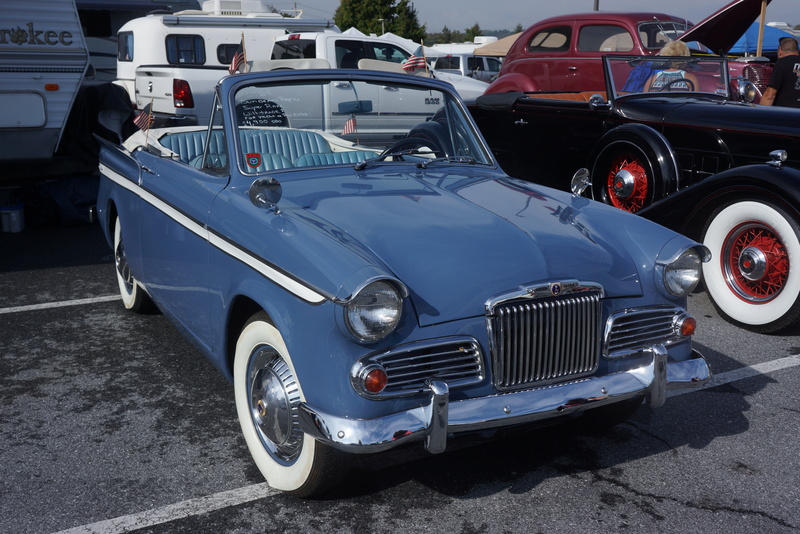 A true “#1 condition” car is rare, but you’ll find them in the AACA. 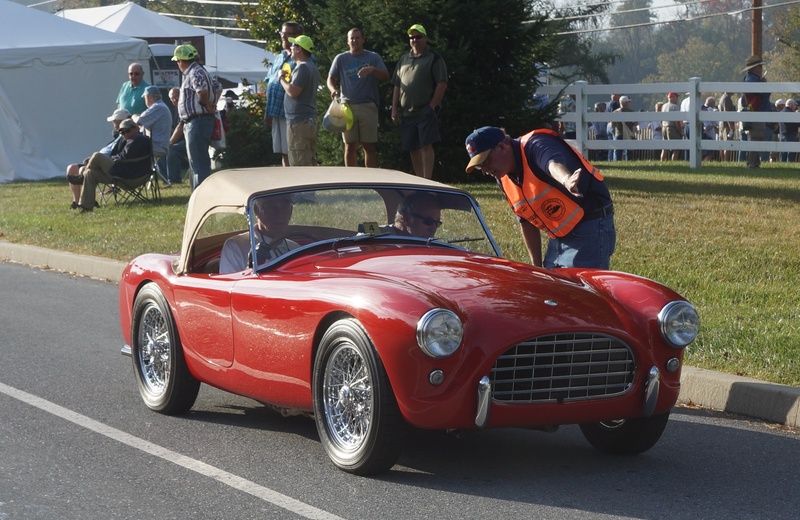 These cars are almost never driven on the road; the engines are run long enough to move them into and out of an enclosed trailer to preserve their perfected state, and that’s it for the driving. 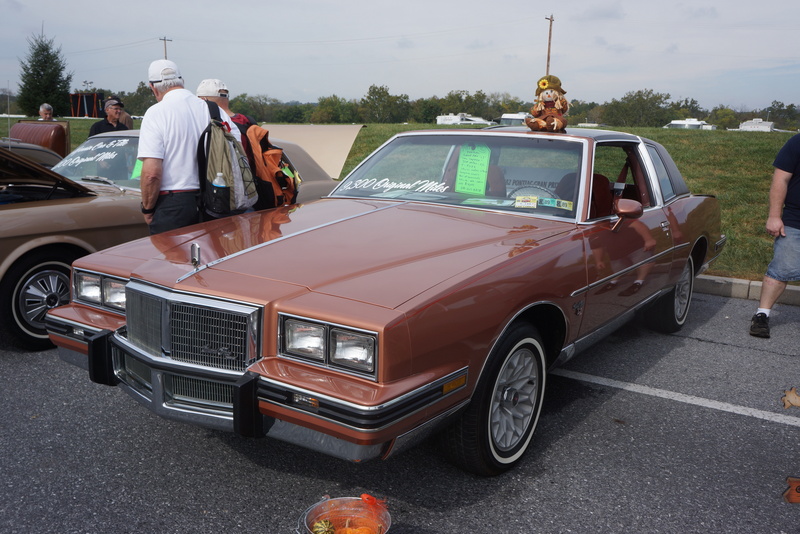 My first AACA experience was Hershey in the early 1980s. 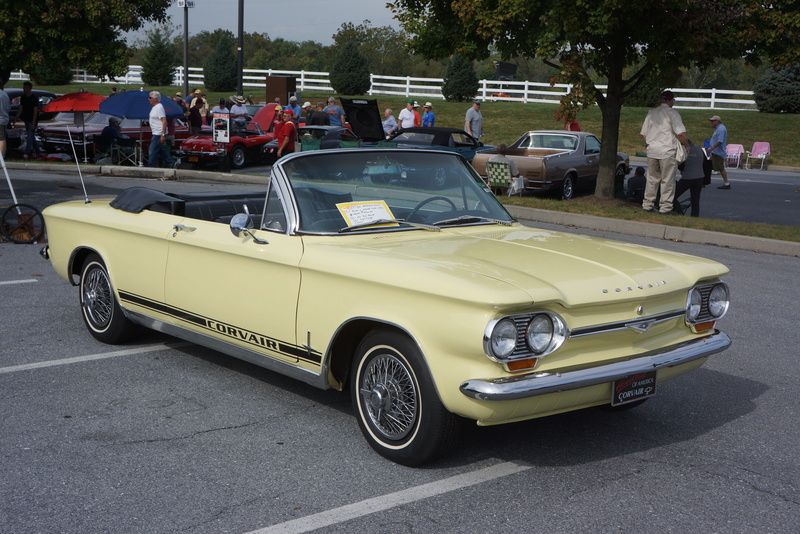 As a young man not yet 30, the rows of perfect Mustangs and T-Birds depressed me into concluding that I’d never have a vehicle which could qualify there. 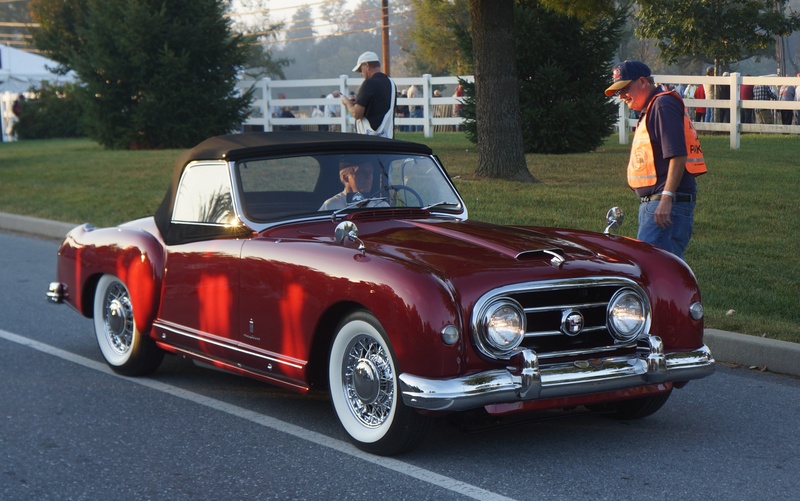 These owners’ cars were judged by arbiters who would dole out trophies and bragging rights, so there was no such thing as “too nice”. Except, there was. 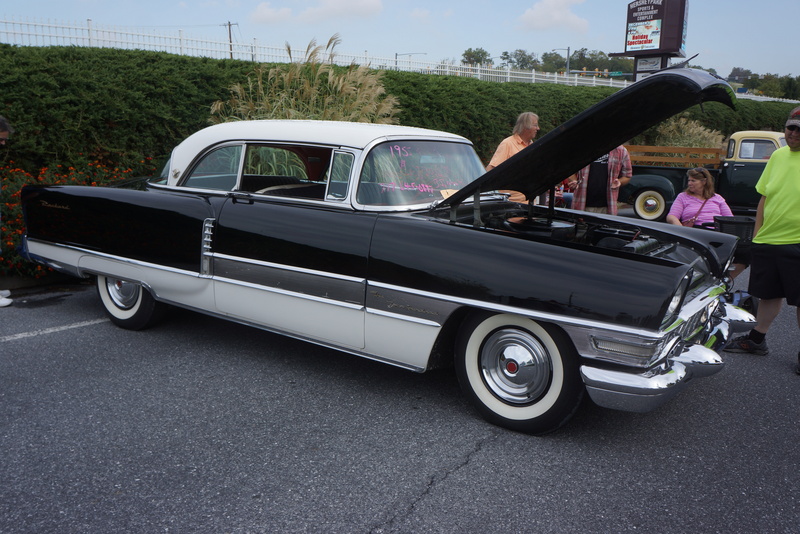 The Overseers at AACA began to realize they had a problem: strictly speaking, their own rule book said that cars should be restored to be as close as possible to “factory new” condition, when in practice many of these cars were better than new. Trim which the factory buffed was now chromed; single-stage paint now wore a clear coat; and unpainted surfaces were now sealed. It’s a condition called “over-restoration”. 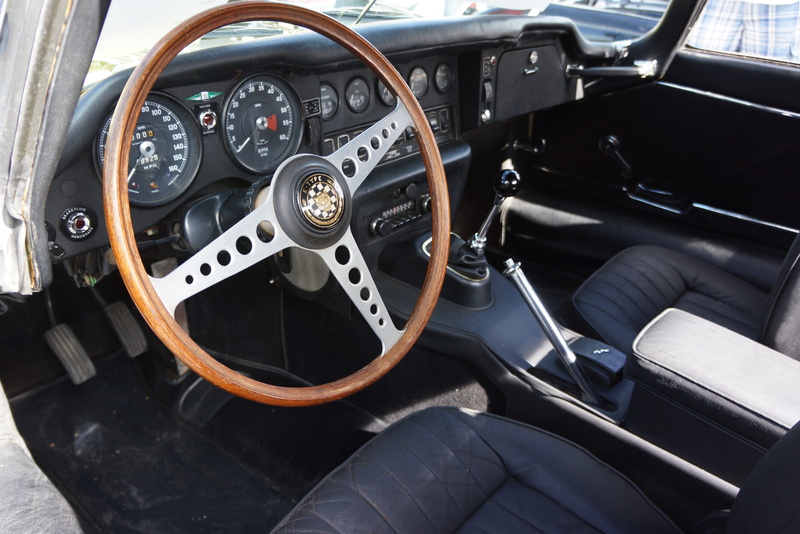 Some owners complained that their ultra-low mileage never-restored cars were losing out to restorers with deep pockets and questionable taste. 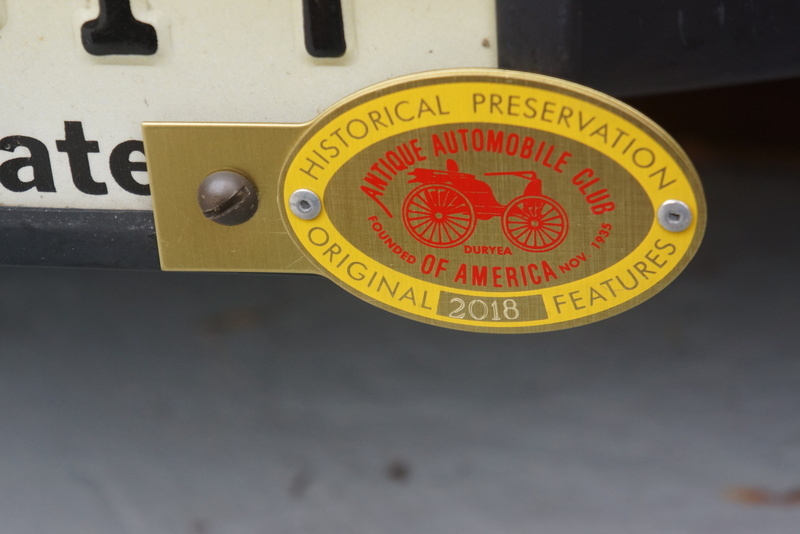 To its credit, AACA created a new judging class: the Historical Preservation of Original Features, or HPOF. The concept was simple: reward vehicle owners whose steeds still were screwed together as the factory did it. 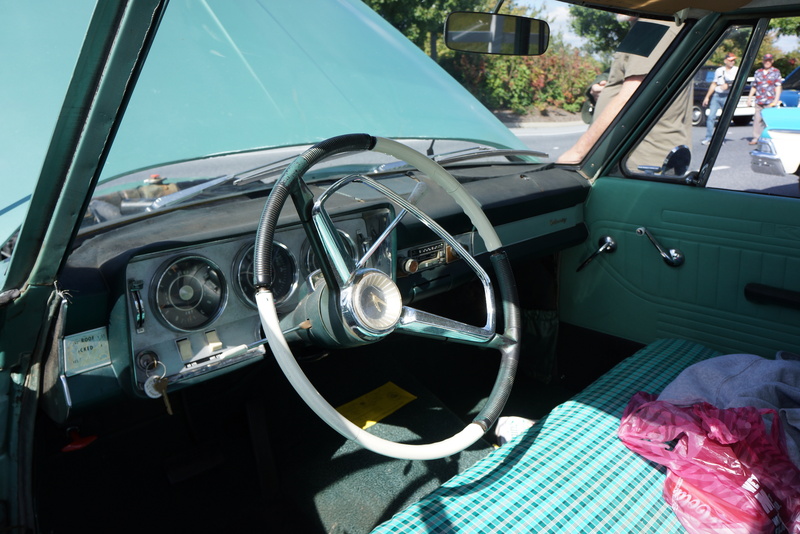 Dull paint and worn upholstery didn’t matter, but original equipment and fittings did. The goal was to encourage the preservation of cars in their original state for future generations to observe, study, and learn from them. 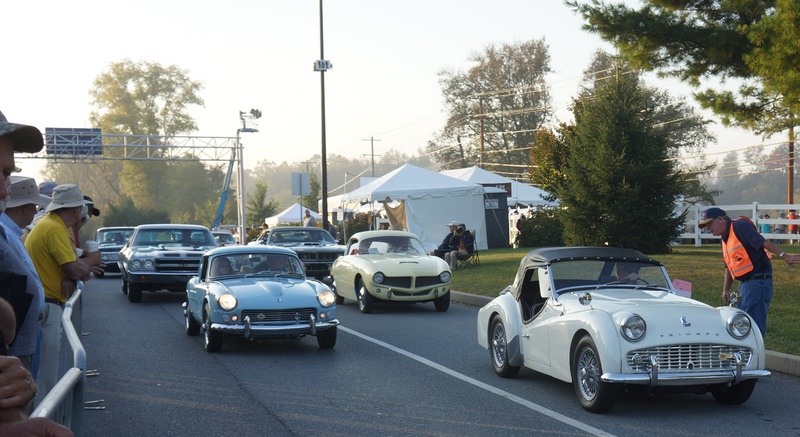 HPOF has become a very popular category for owners and spectators alike. 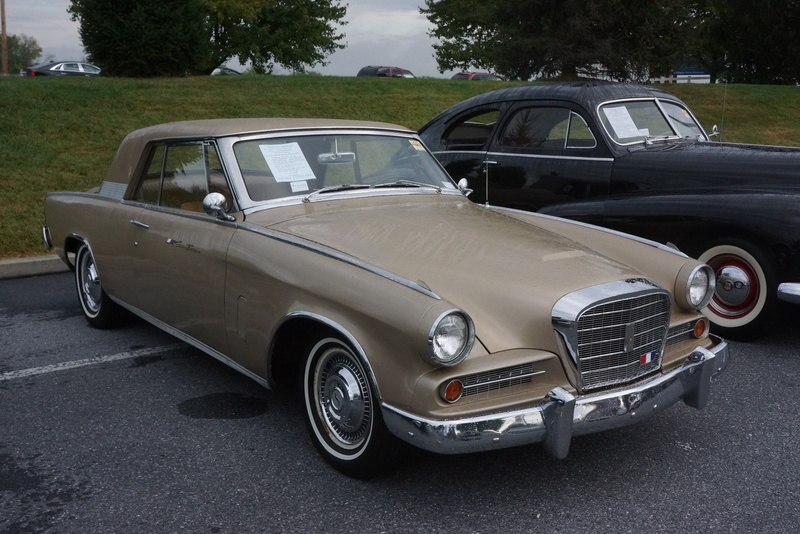 As a separate class, there would be no clash in trying to judge an HPOF car against a fully-restored one. An obvious example from the HPOF rule book is paint: a car must wear all or almost all of its original paint to be eligible in this class. 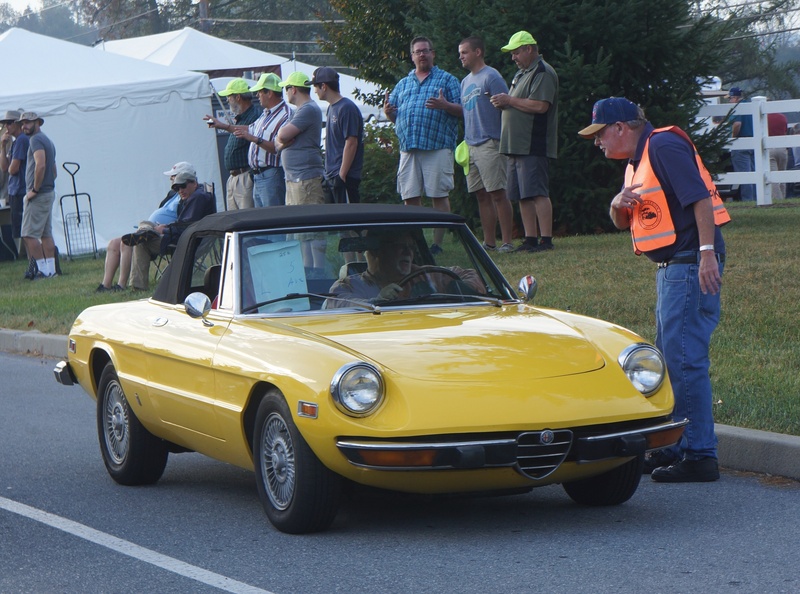 In fact, a car which wins an HPOF award and is subsequently repainted will lose its HPOF accreditation. Perhaps the most difficult part of owning this car for 22 years (it now has 104,000 miles) has been avoiding the temptation to modify it. 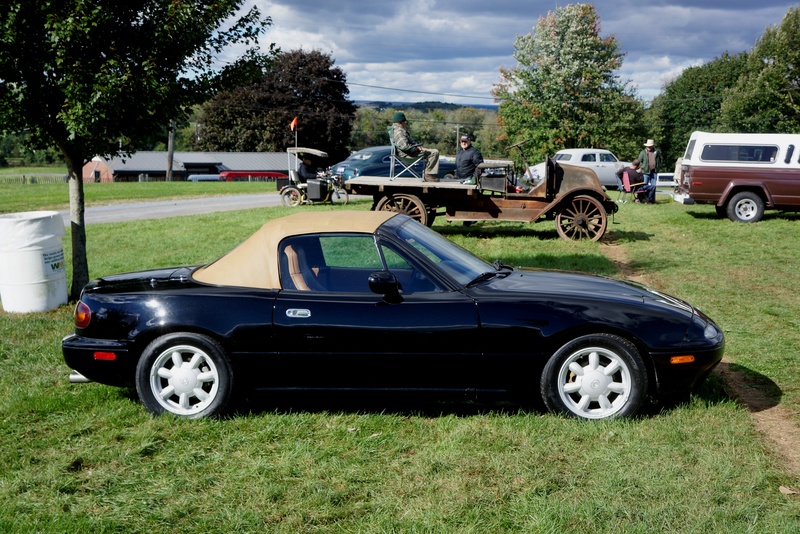 The aftermarket business for the Miata has always been strong and keeps getting stronger. 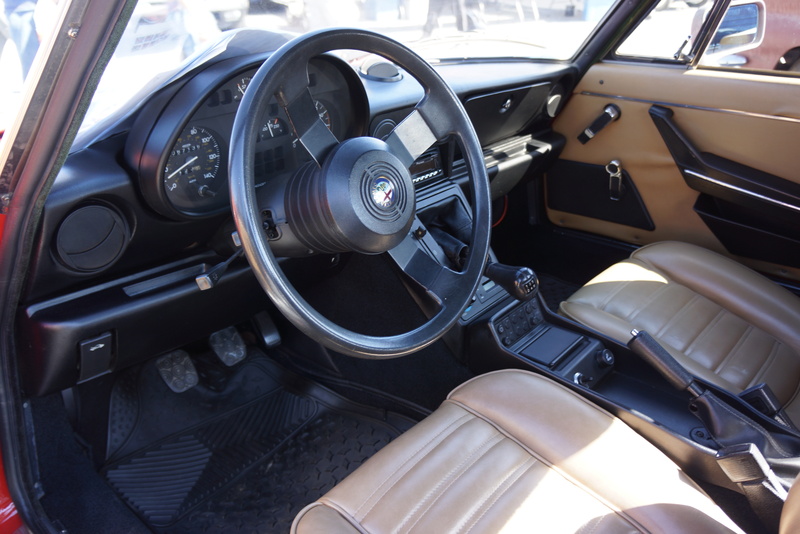 I’ve been tempted to add a turbo; replace the stereo; reupholster the seats; install bigger brakes, wheels, and tires; and add interior wood trim. While a few small changes have occurred (I upgraded the floor mats and replaced some lighting with LED bulbs), the car appears the same as it did when I got it in ’96. 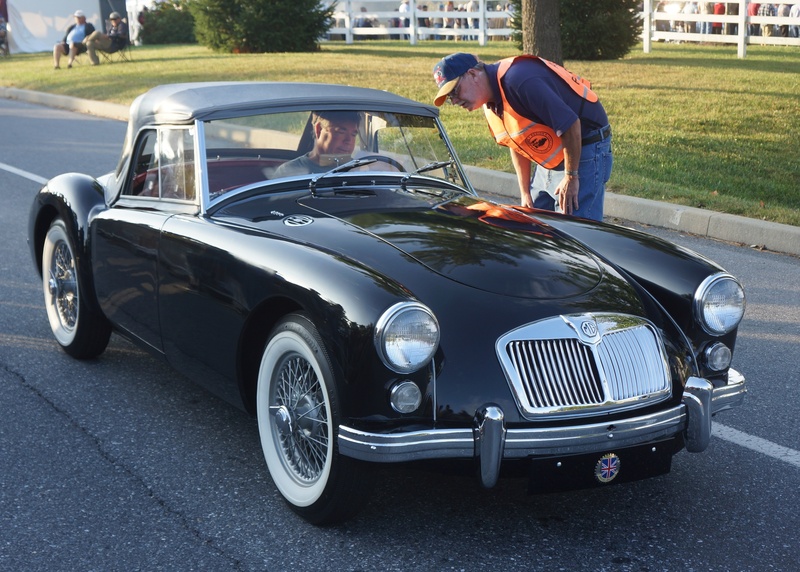 This year, the car turned 25 and became eligible for AACA events. 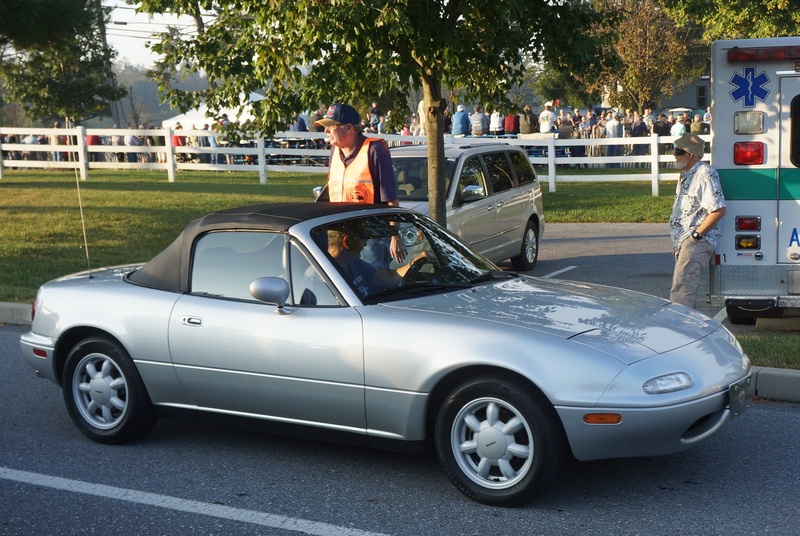 I was excited to enter it into the Hershey show in the HPOF category, and last week, the package arrived informing me that indeed, my 1993 Mazda Miata had earned its HPOF badge. 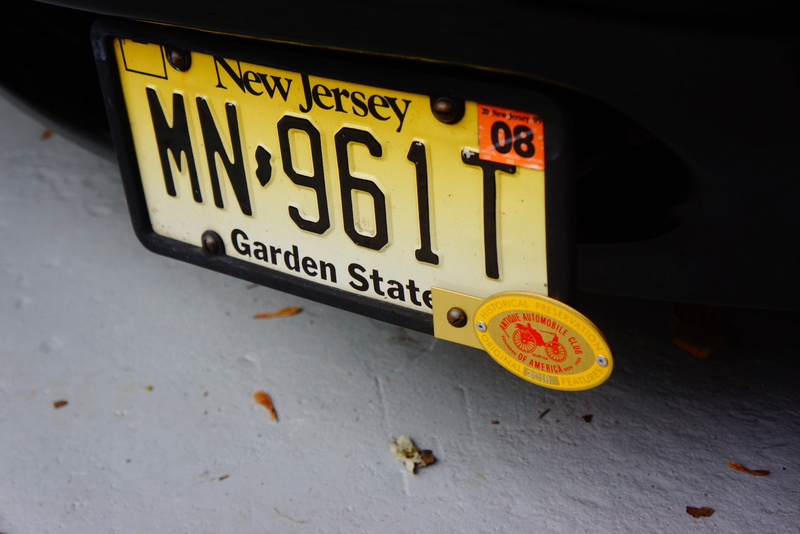 I’m a proud papa, and plan to continue to enter this car in HPOF, notably, in the June 2019 National meet which the NJ Region is hosting in Parsippany NJ. There will be plenty to talk about between now and then. 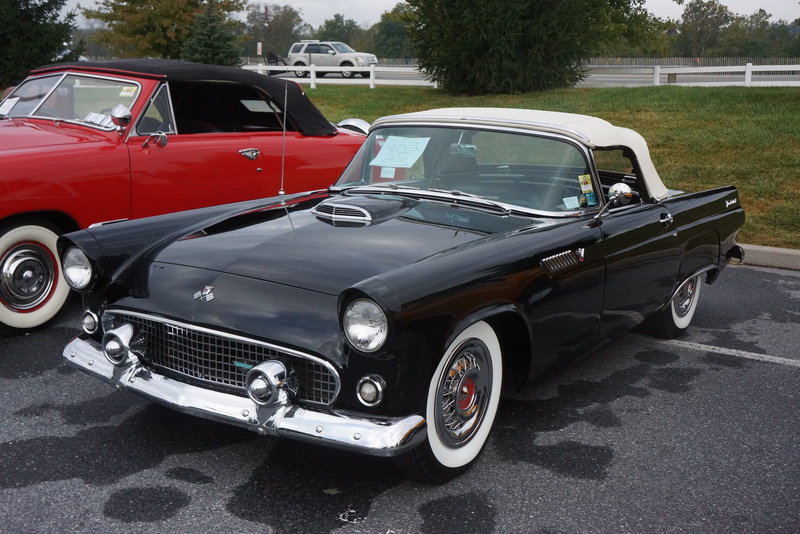 In the 1980s, when I began to attend the AACA Hershey events, Saturday was the day to go. First, as a full-time working guy, I didn’t always have the luxury of taking time off, so it was the only day available to make the trek. 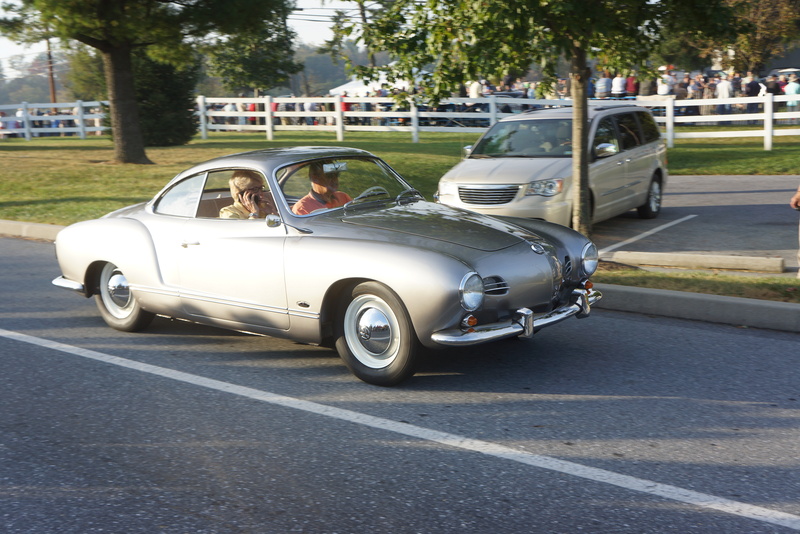 Second, the best part of Hershey, “the car show”, was on Saturday. About 20 years ago, I decided that my Hershey visit deserved to encompass multiple days. 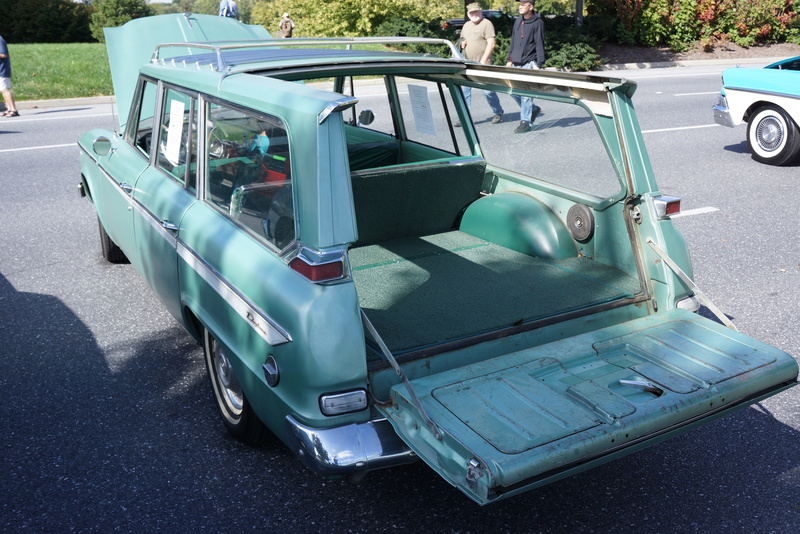 So I headed out on Thursday, and spent several days roaming among the flea market stalls and vehicles for sale. Saturday morning, wanting an early start, I found myself at the entrance to the show field by 8 a.m., when a funny thing happened. I discovered the Hershey parade. 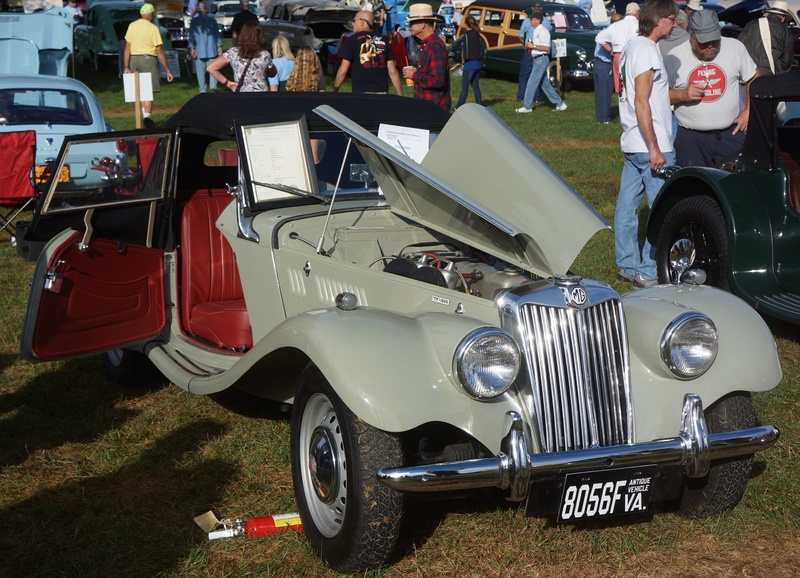 AACA rules require that all show cars be driven onto the field under their own power. 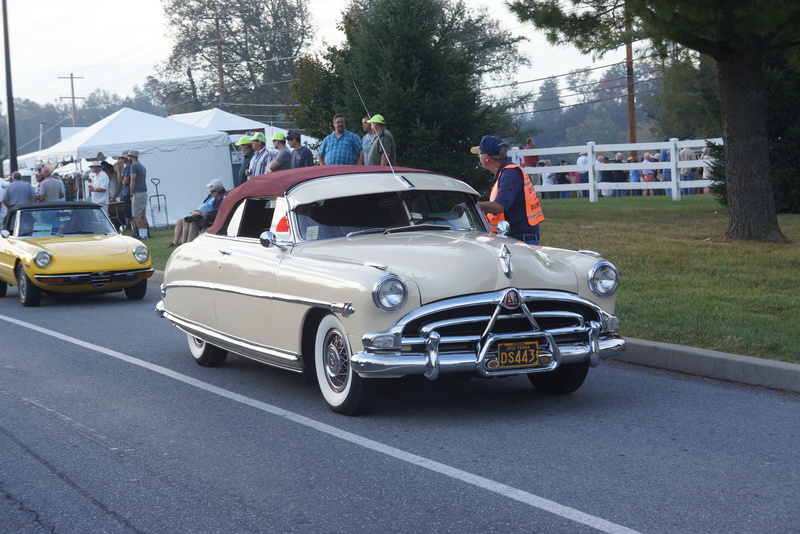 So, starting very early on Saturday, all the cars line up and serenely motor their way along a predetermined route. 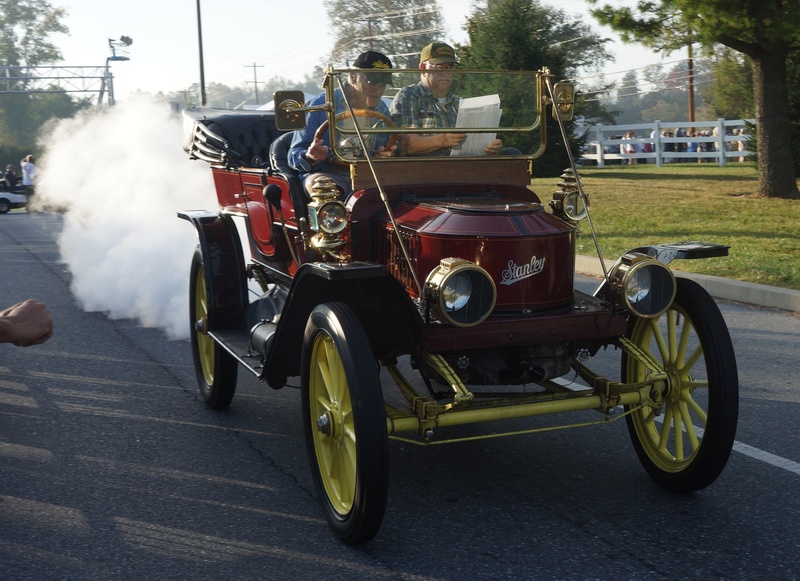 What a delight it was to realize that much better than the static show was to witness these glorious automobiles, from early-20th century brass cars to vehicles “just” 25 years old, making their way, and allowing us the joy to see and hear them. Stand for the next two hours and take it all in. This routine was followed again in 2017. The photos which follow were for the most part taken along the parade route. 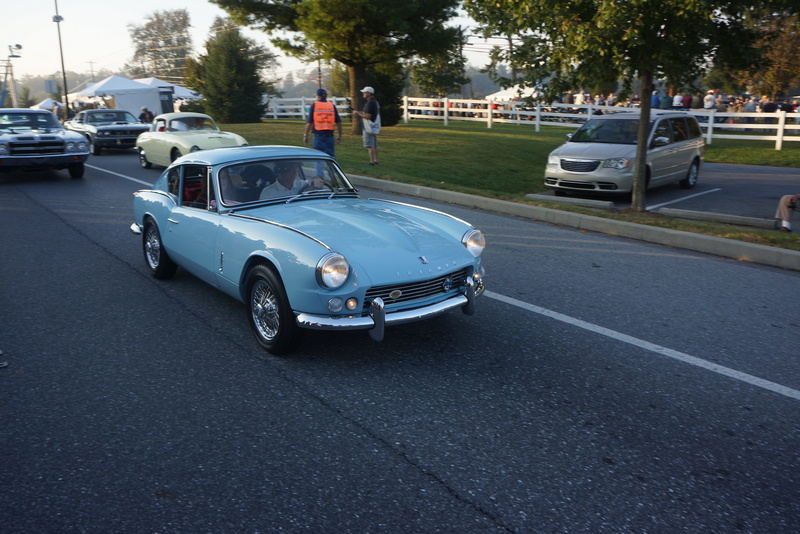 The early morning sun only helped further glamorize what are already impeccably restored automotive gems. 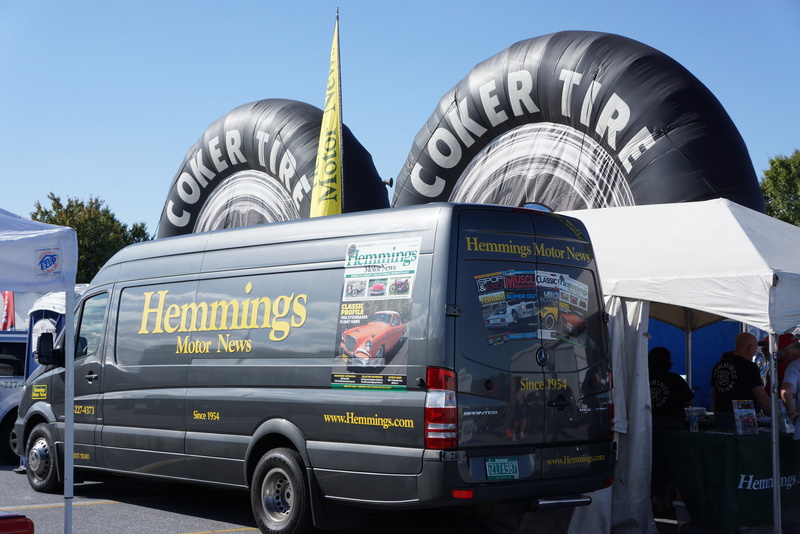 This third report concludes our posts covering the 2017 Hershey events. It bears repeating: if you have not visited this fall classic, held every October in Hersheypark PA, it is worth the trip. 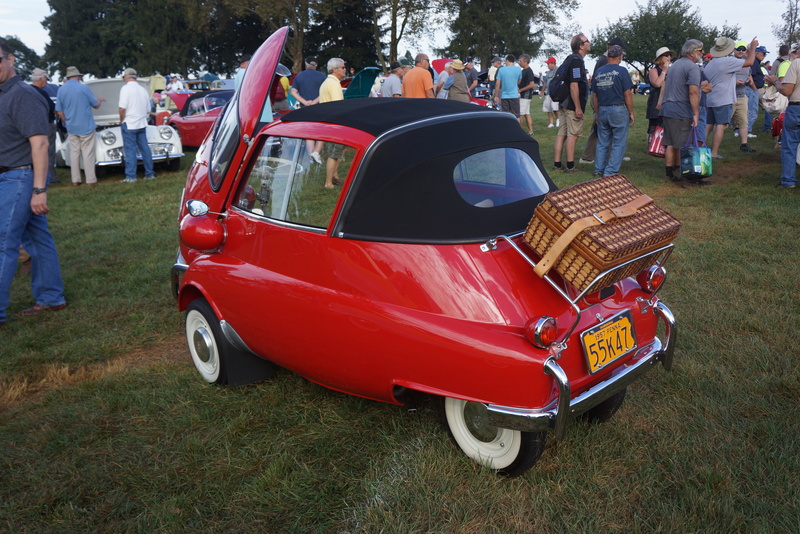 Fall Hershey (formally entitled the Antique Automobile Club of America Eastern Division National Fall Meet, which is why we call it Fall Hershey) is an automotive smörgåsbord: collector-car flea market, car corral, judged car show, and auction, encompassing such a voluminous spread of acreage that one needs at least three days to take it all in. 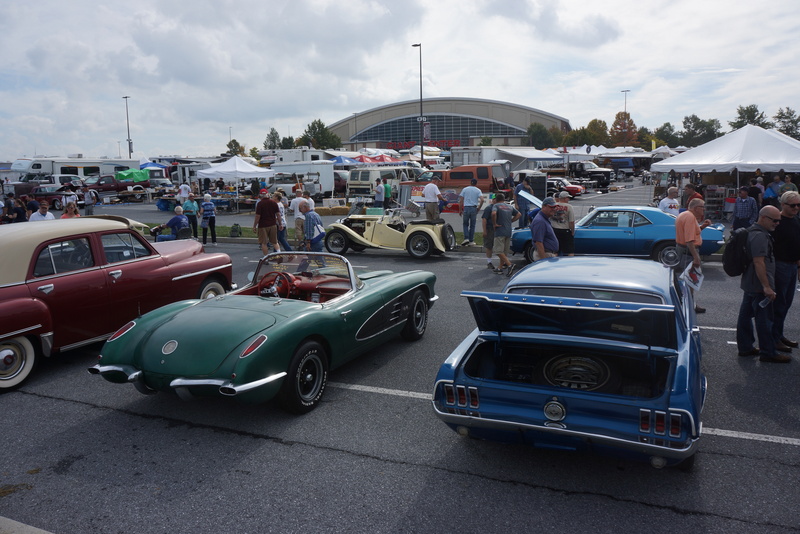 We’ve covered Fall Hershey on this blog in the past; this year, as a tie-in with the report on the previous week’s Carlisle visit, the focus shall be on the car corral. Unlike Carlisle, where one can offer for sale a fat-tired 2003 Toyota pickup truck if one desires, AACA’s rules apply. Vehicles placed in the car corral must be a minimum of 25 years old, and must essentially be in “stock” condition. Beyond that, asking prices are determined by the sellers, and negotiations are strictly between seller and buyer. A car corral office and public notary are on hand to facilitate exchanges. 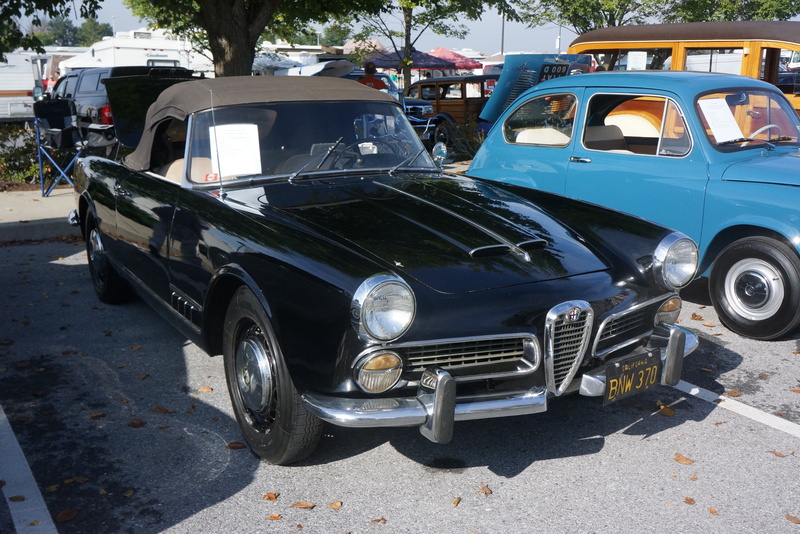 Overall, the quality and variety of cars were on par with previous years. Unlike the recent past, and eerily similar to Carlisle, were the long stretches of empty spots. It was not a ghost town, however, I’d estimate that 25% of available spots remained so. The corral has changed in other ways. 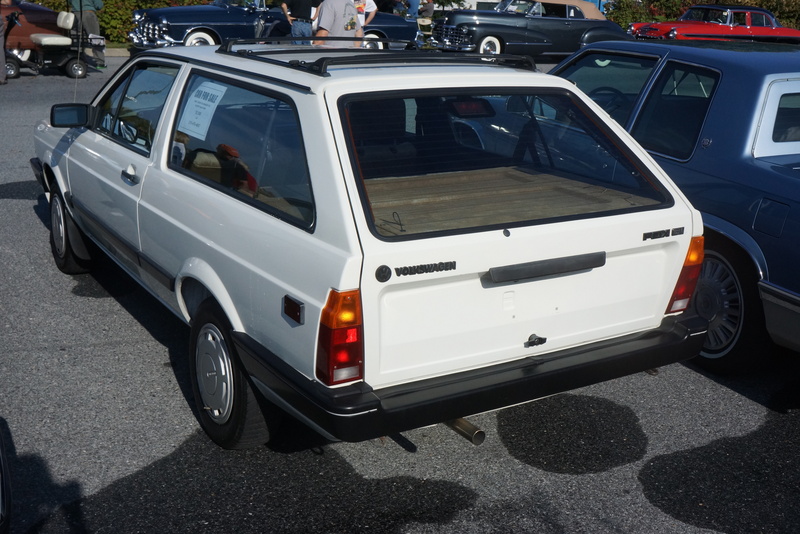 Way back in the 1980s and 1990s, most cars for sale were privately owned. Deals were often made among hobbyists who knew each other, or at least had a mutual friend. If buyer and seller were meeting for the first time, the sale would many times be the start of a new friendship. 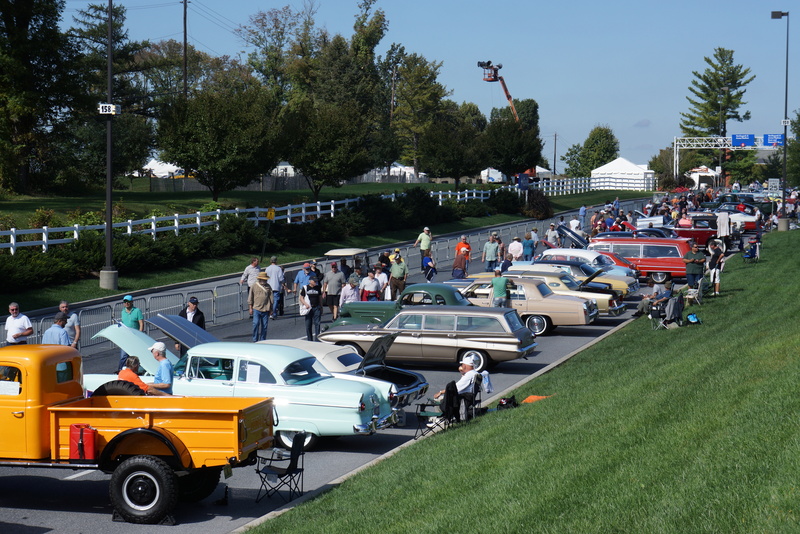 Today, classic car dealers buy up an entire row in the corral, and place their half-dozen or dozen cars together. (You can always tell: the signage and lettering styles are identical.) Dealers are as likely to be buyers as they are sellers. Asking prices are set by picking numbers out of a hat (I kid, but you do sometimes wonder about the relationship between that number on the windshield and reality). Dealers spew the same lines: “it’s a good car, runs good, real solid, real nice condition, all restored, very rare with these options”. The lack of specificity is jarring. 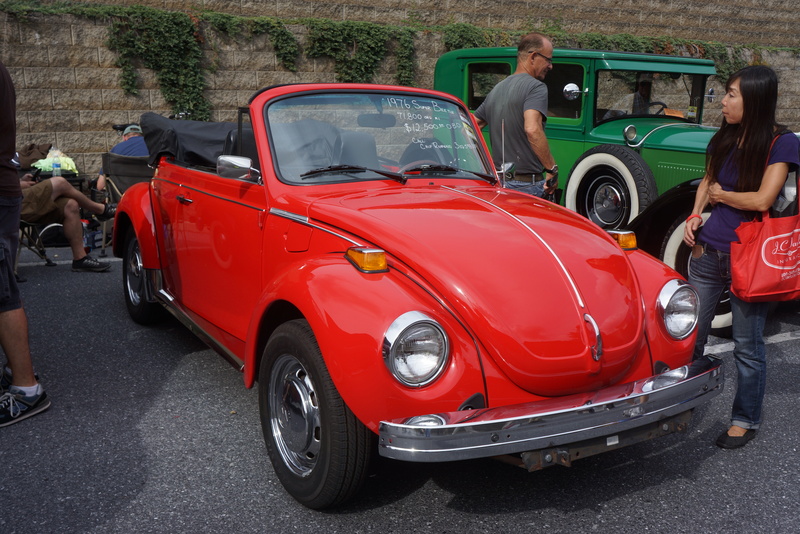 Not to disparage dealers, but if you do find an individual owner who is selling, you are more likely to learn more about a vehicle’s true recent history. 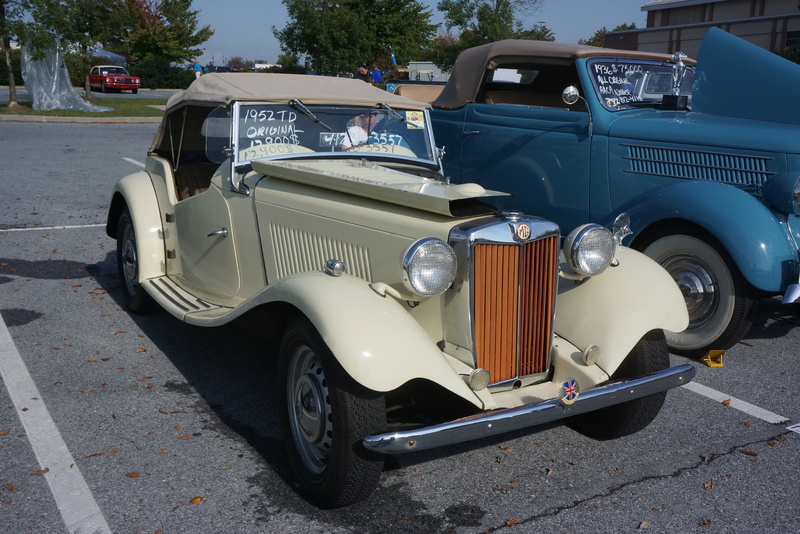 A private owner will talk specifics: “I bought it 10 years ago, put 5,000 miles on it, drove it in an AACA tour five years ago, re-did the brakes two winters ago, and drove it here from Maryland”. Comments like these were actually overheard this year. This lengthy preamble is to set the stage for my eclectic selection from the car corral. The thirty cars below are arranged in order of asking price. 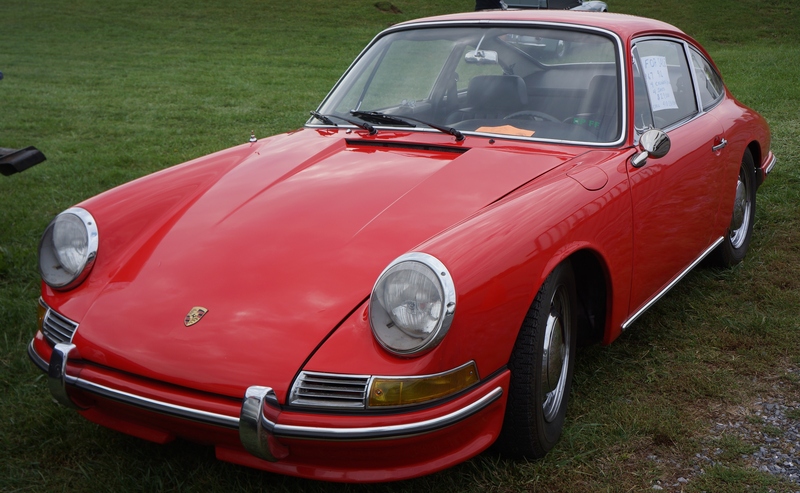 No attempt was made to ascertain if the seller was a private owner or dealer. While all these cars “looked good”, condition was not analyzed, and mileage was not recorded. You can presume that none was modified to be non-original. 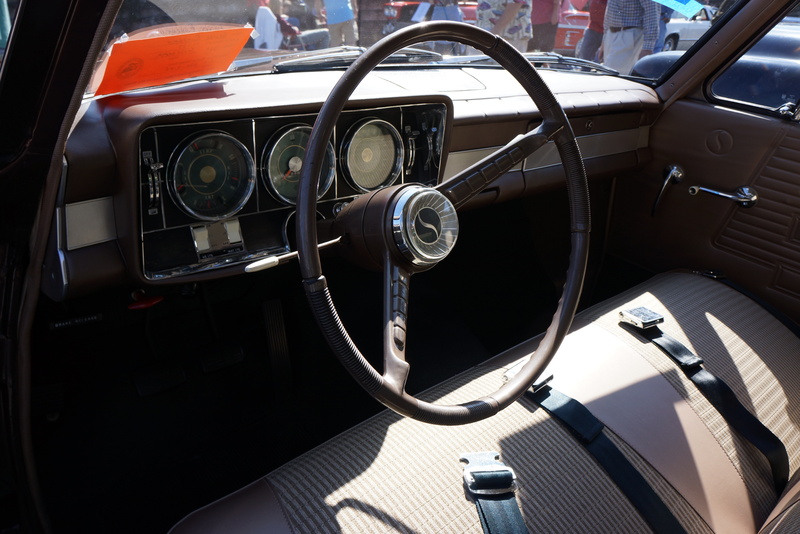 In the case of American cars, the level of optional equipment was not noted. The vast majority of signage indicated “or best offer”, so think of these prices as a negotiable starting point. 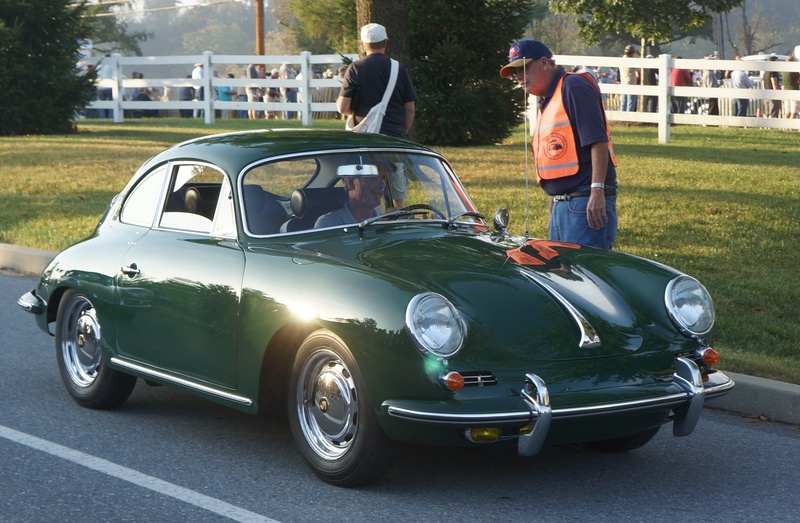 Organizing them in price ranges allows the reader to make comparative estimates regarding what your collector-car piggy bank can get you. Have fun on your imaginary shopping trip. 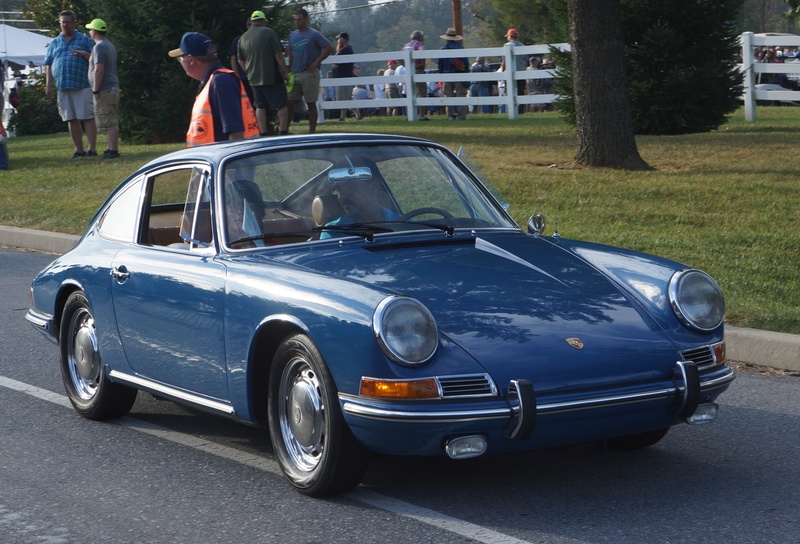 Part 2 will be my report on the 2017 RM Sotheby’s Hershey Auction. 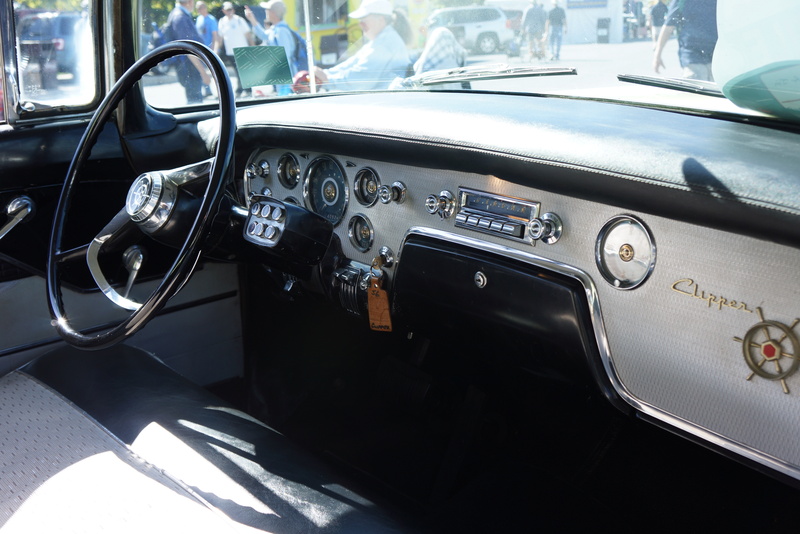 After all, as has been reflected in numerous posts here as well as within every publication which covers collector cars, the old car hobby has changed in so many ways. The Internet, obviously, has driven transactions online. 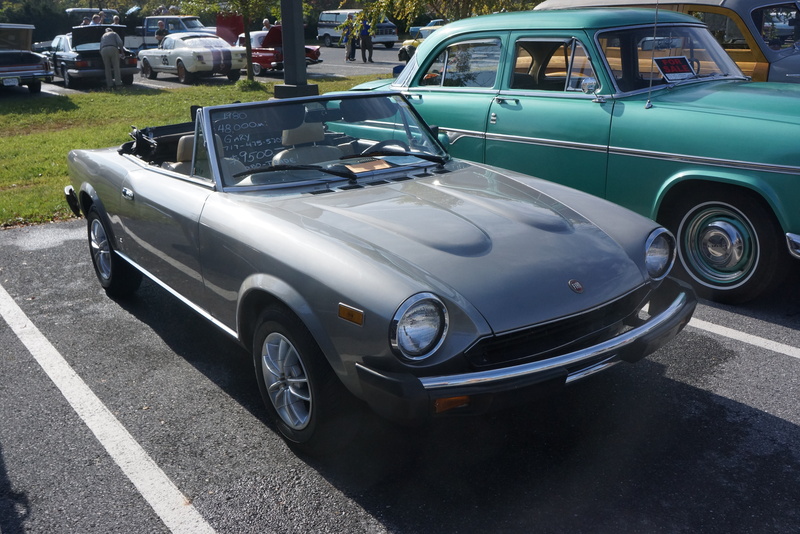 The greying of the hobby means that the aging boomers, who may finally have the means to buy that dream car, will buy it not as a project, but as a restored, ready-to-go vehicle, and may pursue that dream at an auction. 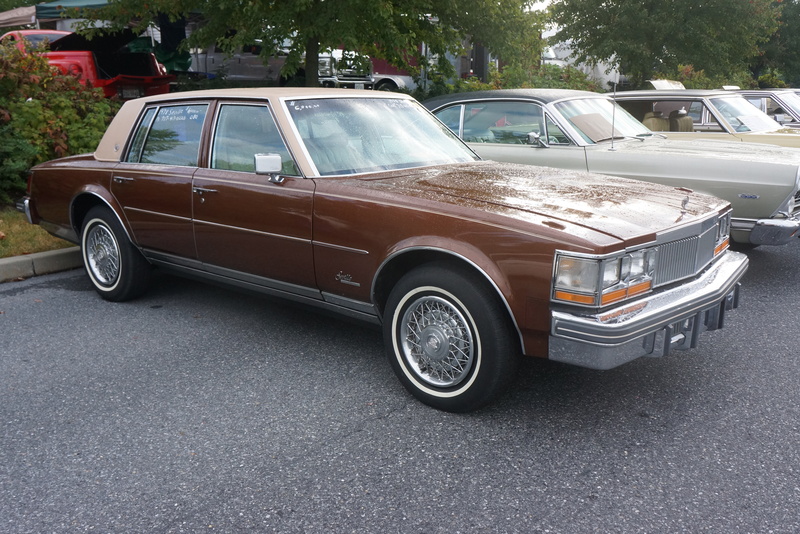 Younger generations are not showing interest in 25-year-old and older stock vehicles, and frankly may be reluctant to join a club with the word “Antique” in its title. This blog has now been up and running long enough that some annual events are being reported for the second time. And so it is with Hershey. 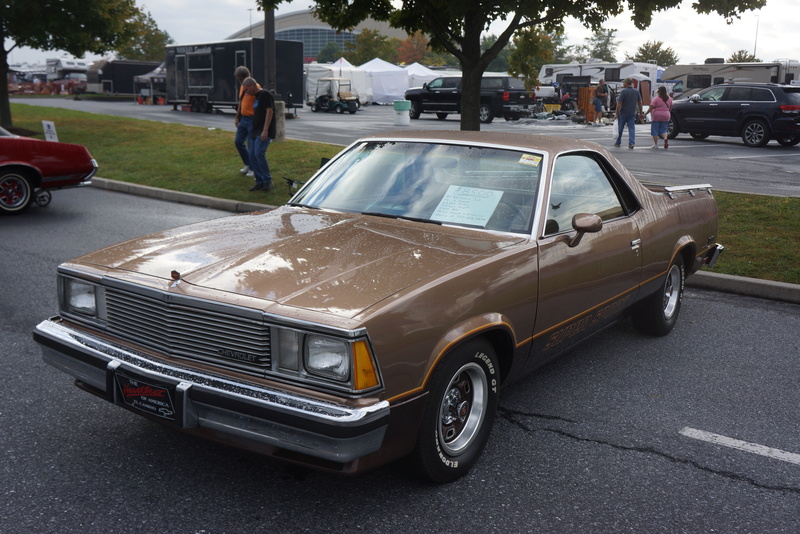 It may be instructive to revisit what was said a year ago: in essence, thanks in large part to its six-decade history, Hershey continues to be the go-to place for cars and parts which can be found in few other places, in person or online. 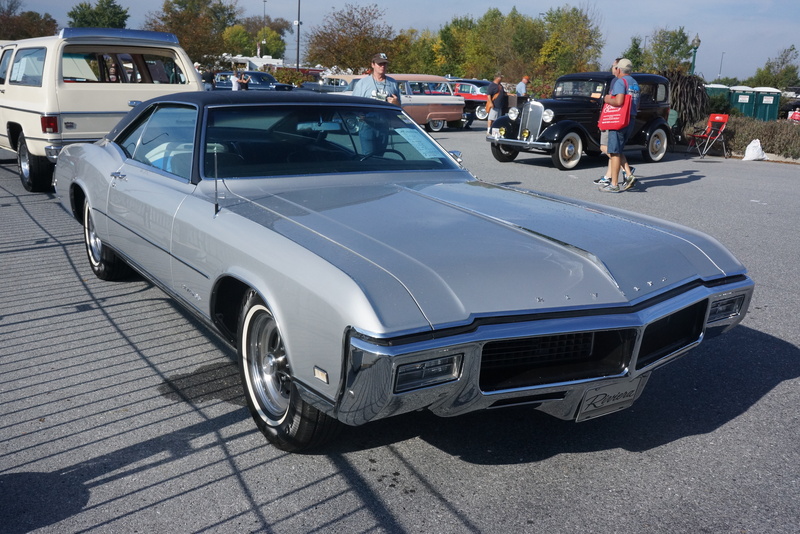 The sheer size of the event, with its combination of old-fashioned flea market, car corral, and judged car show can account for the crowds. (Again this year, the influx of foreigners was huge.) Weather may sometimes play a role (who remembers the Hershey mud? 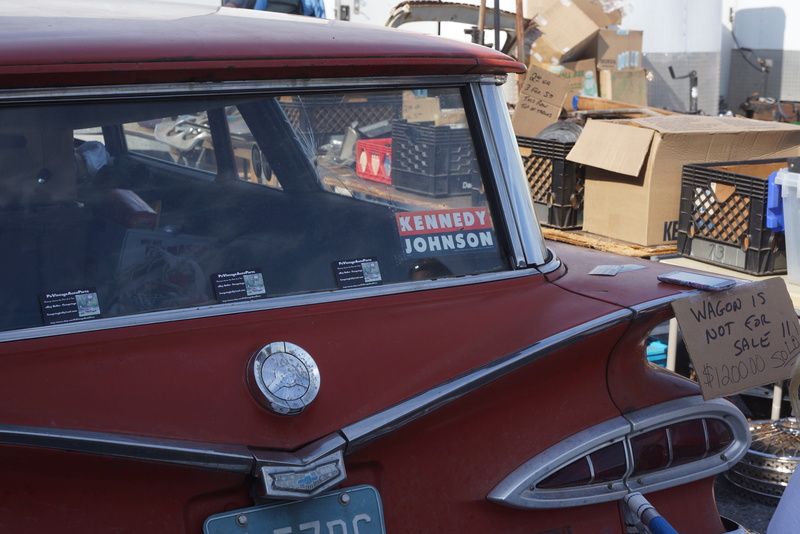 ), but even that is a relic of the past, as the entire flea market and corral are on pavement. There certainly are things to see and do which cannot be duplicated on a tablet screen. 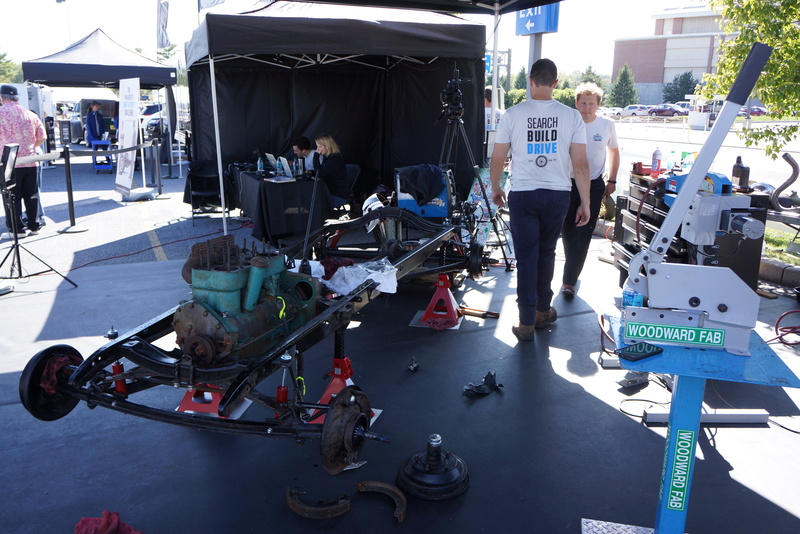 For example, Hagerty Insurance, as they did last year, ran a “Search, Build, Drive” contest whereby they would purchase a project vehicle from the Car Corral, and bring it to running, driving condition using parts found in the flea market. And one more small detail: they challenge themselves to accomplish this within the 4 days of Hershey. You can read more about it here. Due to personal commitments, I was unable to attend Saturday’s judged meet this year. 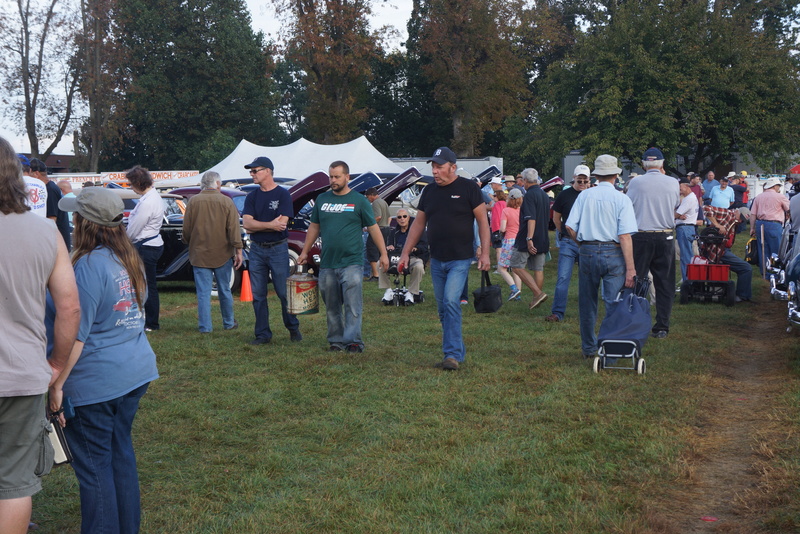 I did attend the RM-Sotheby auto auction, held about a mile away at the Hershy Lodge, which will be covered as a separate blog post. 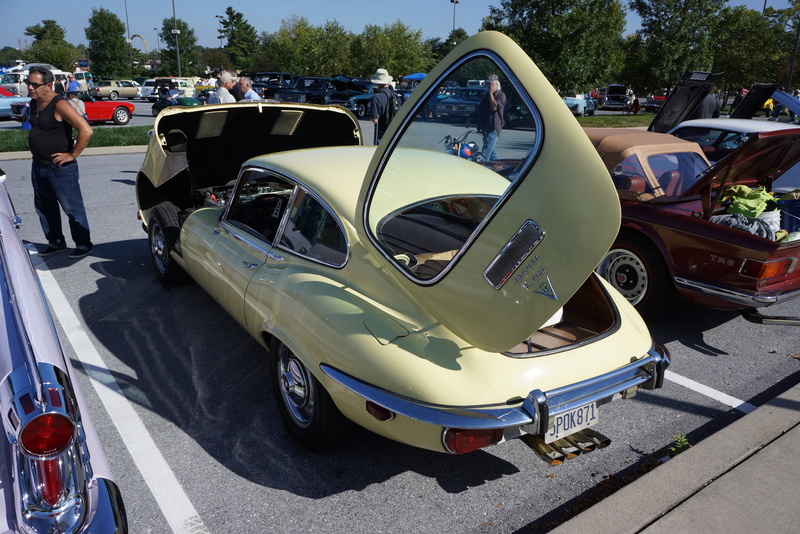 The bulk of this post will be a report on a random sample of cars, domestic and foreign, in the Car Corral. 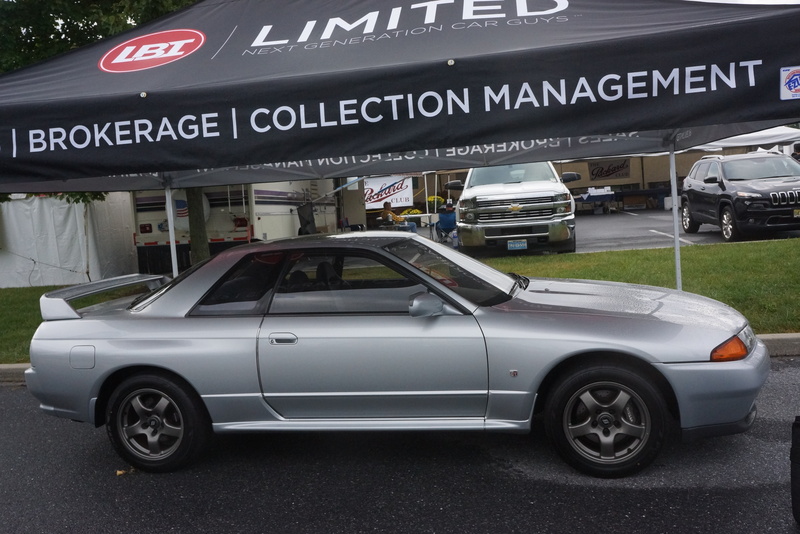 While there are hundreds of cars for sale, I’m especially drawn to both imports and to orphan makes. Comments about each car follow the photos. 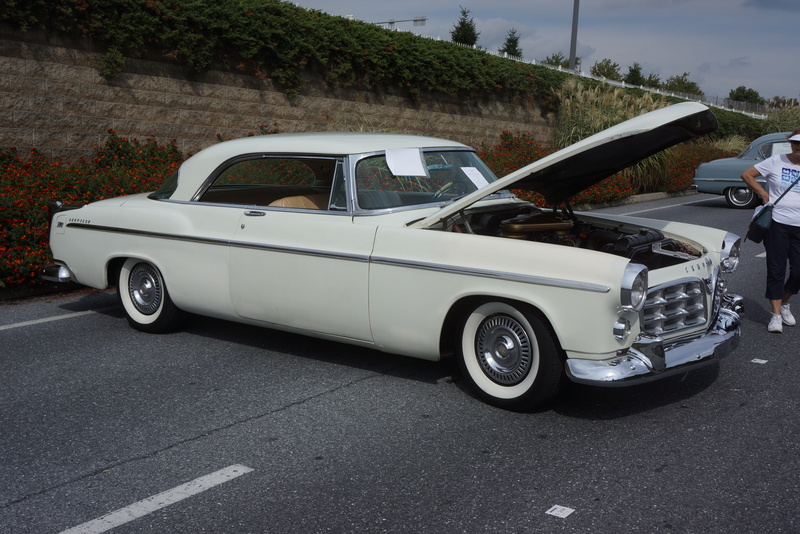 This 1956 Packard Clipper 2-door hardtop was driven down from Ontario, Canada to the meet. 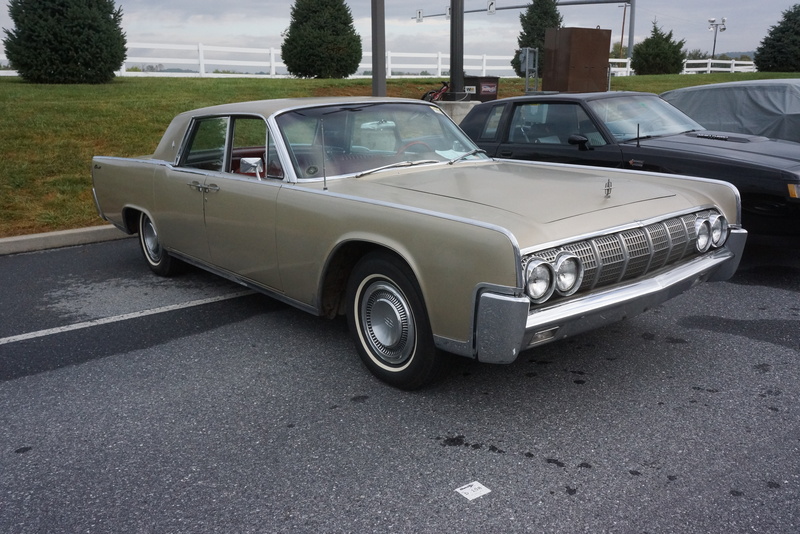 It allegedly had 40,000 original miles, but much of the lower body was wavy with Bondo. The ask was $14,750. If that were Canadian bucks, it would be an even better deal. 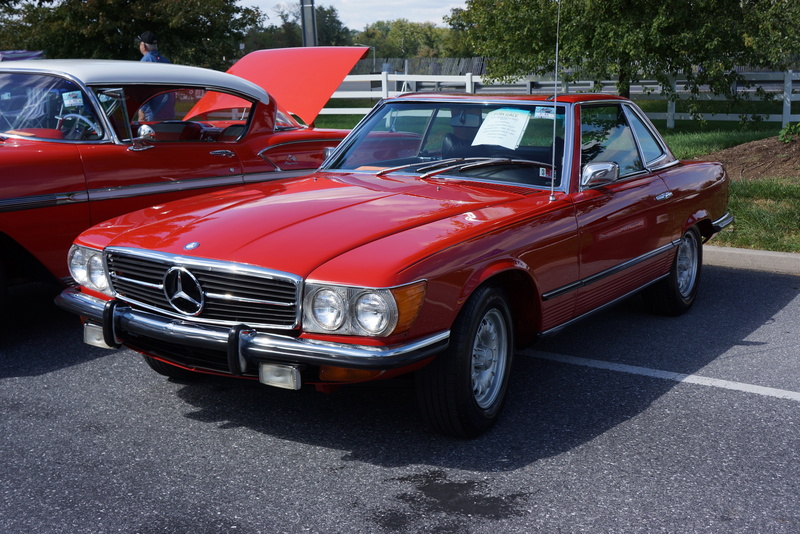 This generation of the Mercedes-Benz SL (known as the “107” chassis to the devoted) was sold here from 1973-1989. We are so used to seeing them with their diving-board bumpers that we forget how elegant the original design was. 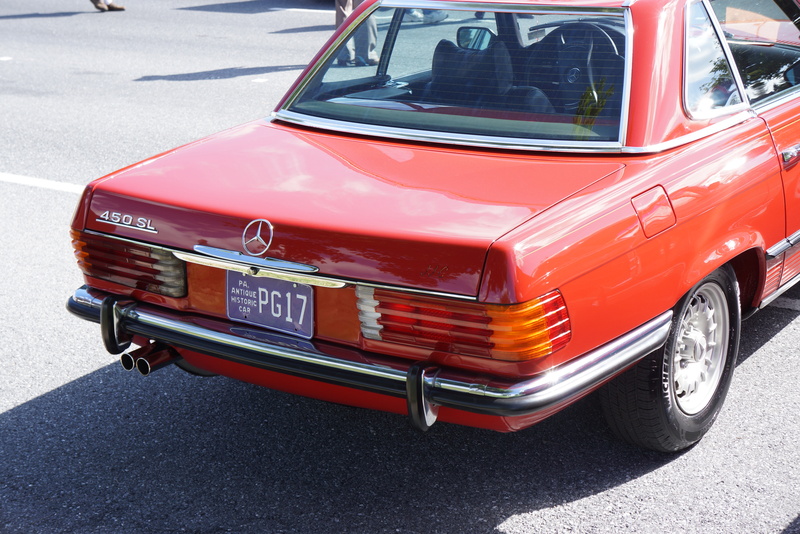 This ’73 U.S.-spec car reminds us. 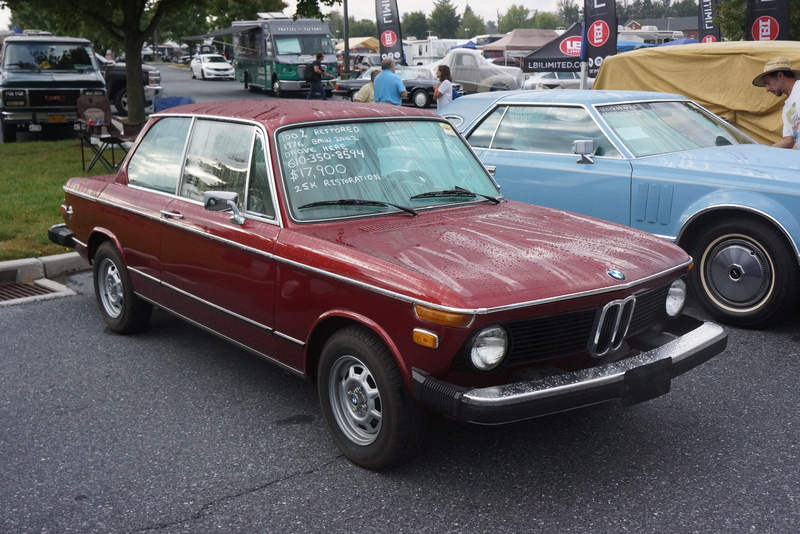 This car claimed to have 45,000 original miles, and the owner was asking $18,500. 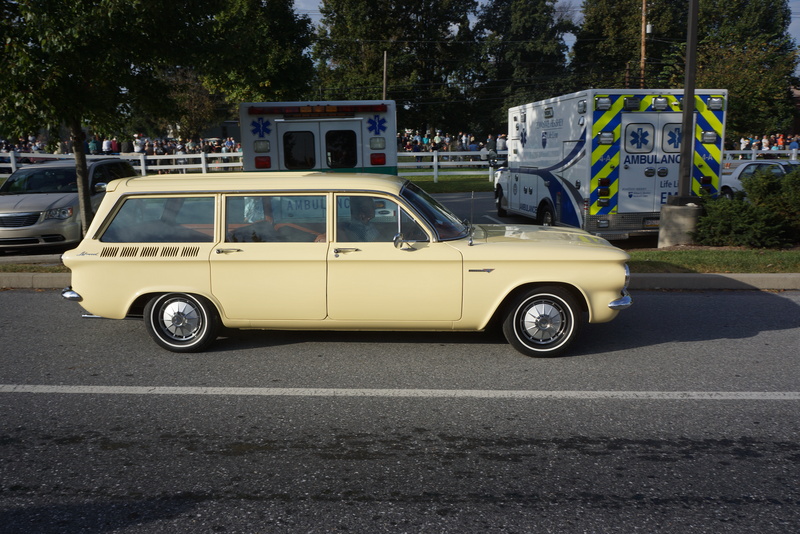 This 1963 Studebaker Wagonaire was rough around the edges, but it looked like it was all there. Price was $7,500 OBO. It was the only one at Hershey. 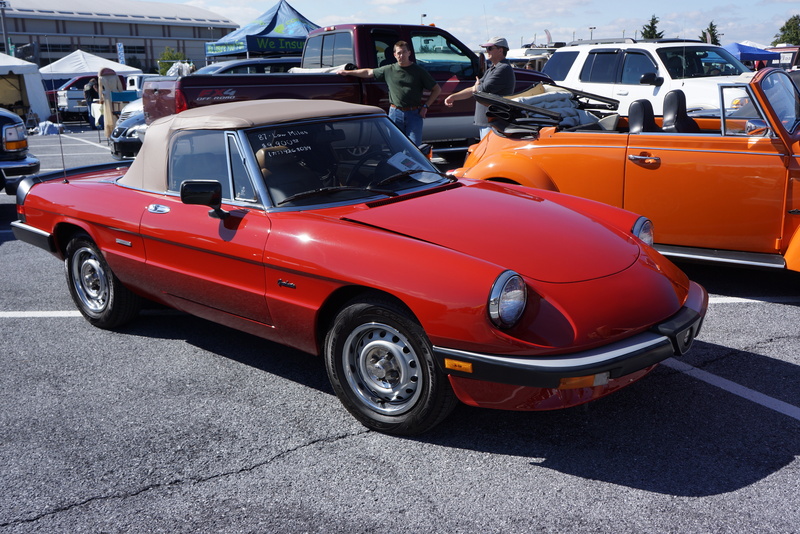 The sign on this 1987 Alfa Romeo Graduate Spider gave little info other than “Low miles, $9,900“. 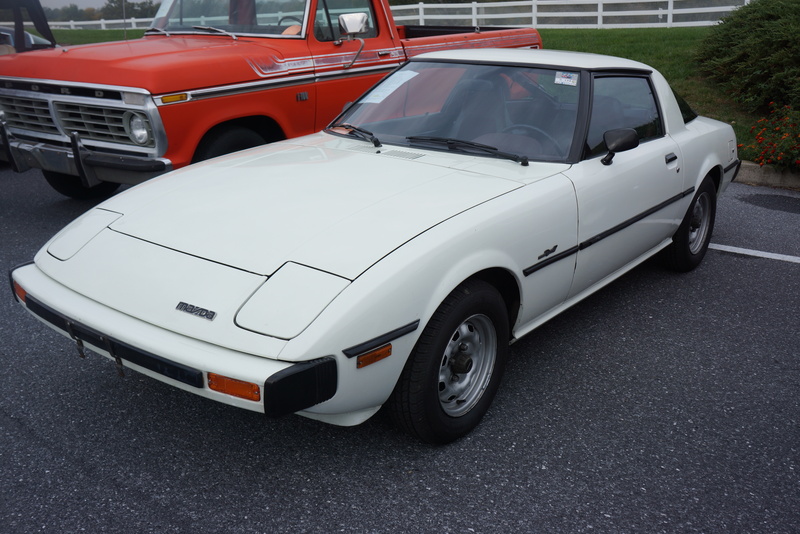 This 1980 Mazda RX-7, a first-generation car, still wore the original tail light design, which was updated a year later. 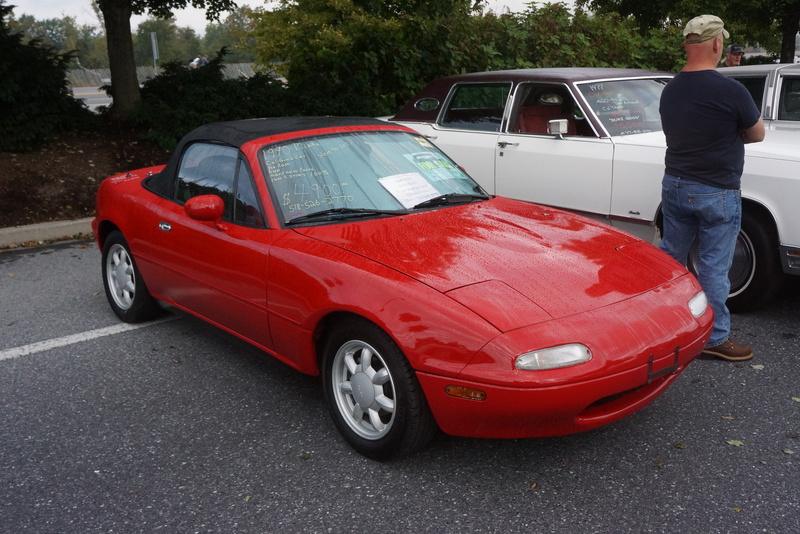 The sign claimed this car was an Anniversary Edition (whatever that is), and with 63,000 miles, the ask was $9,800. 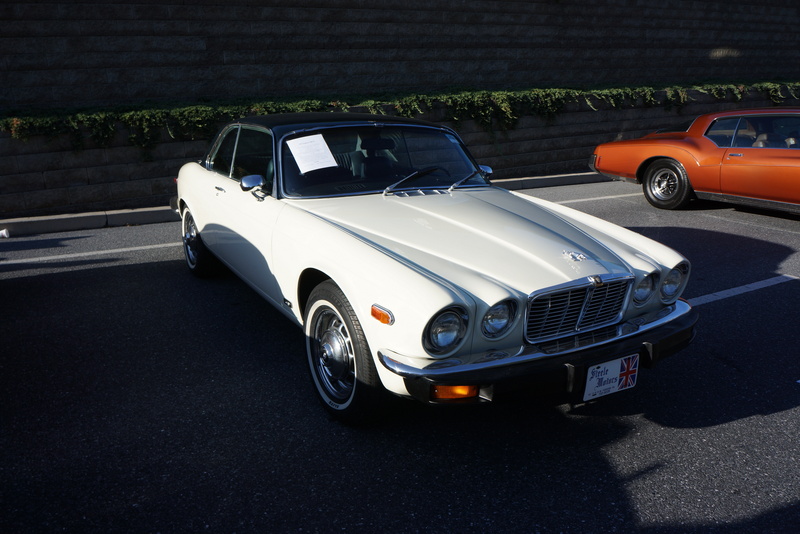 This 1977 Jaguar XJ6-C is a rare 2-door version of the better-known XJ four-door sedan. 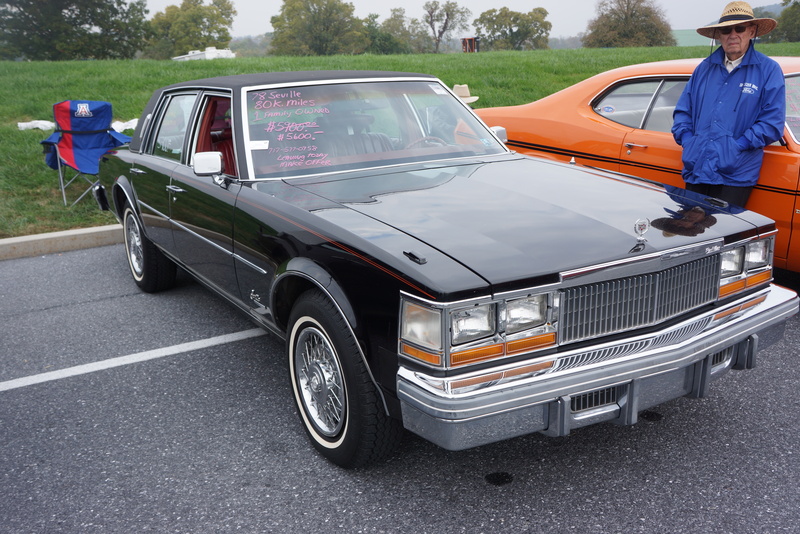 My recollection is that 100% of these vehicles had factory vinyl roofs. This one’s was removed in favor of black paint. The car looked like it had needs, and these are known to be rust-prone, so check carefully before you pay the $12,500 asking price. 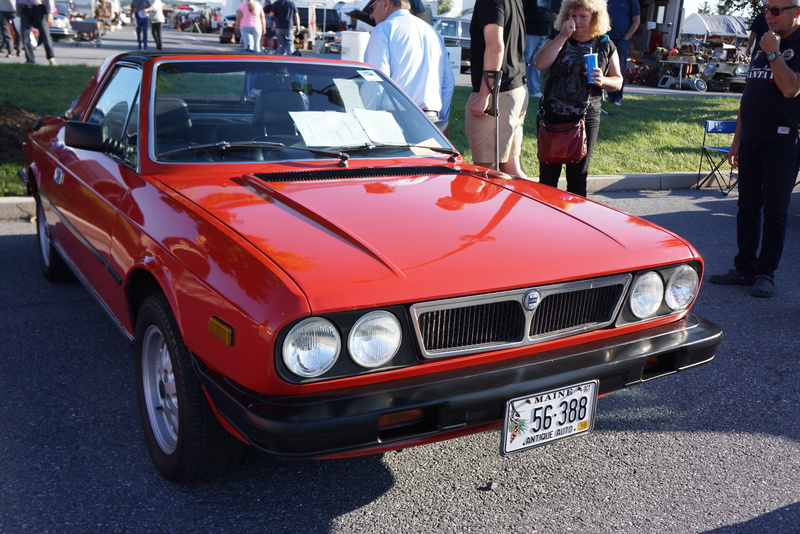 This 1982 Lancia Beta Zagato is from the final year of U.S. sales for this Italian import. 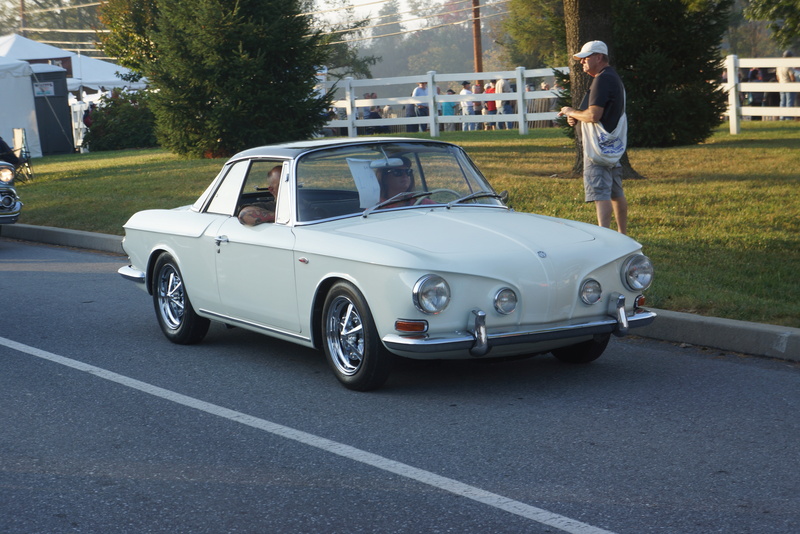 Like the Beta coupe, the transverse engine drove the front wheels. The Zagato version has a fold-down soft rear window plus a removable targa top, giving an almost-convertible feel. The sign claimed 59,000 pampered miles, and it looked it. The owner was asking $5,995. 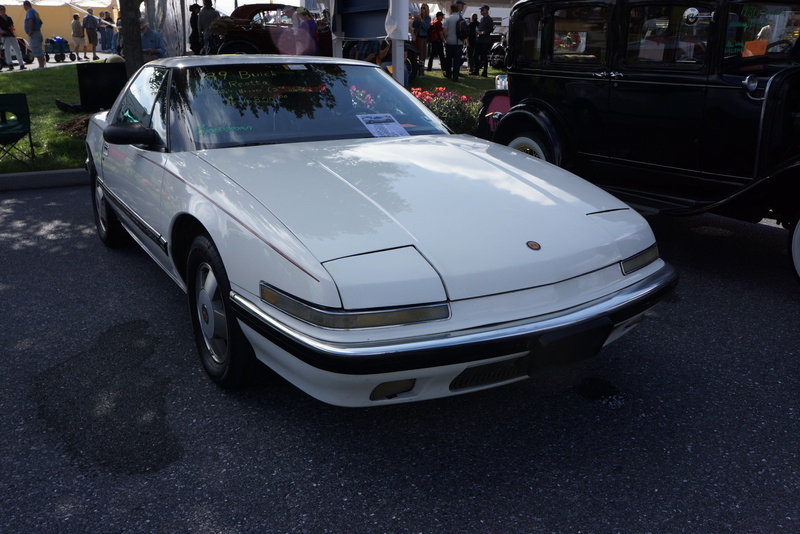 The Buick Reatta has been on the “appreciating future collectible” list for so long that I think most people have forgotten it. There are always a few for sale, and this one’s colors and condition made it stand out. The sign claimed it to be a two-owner car for only $6,800. 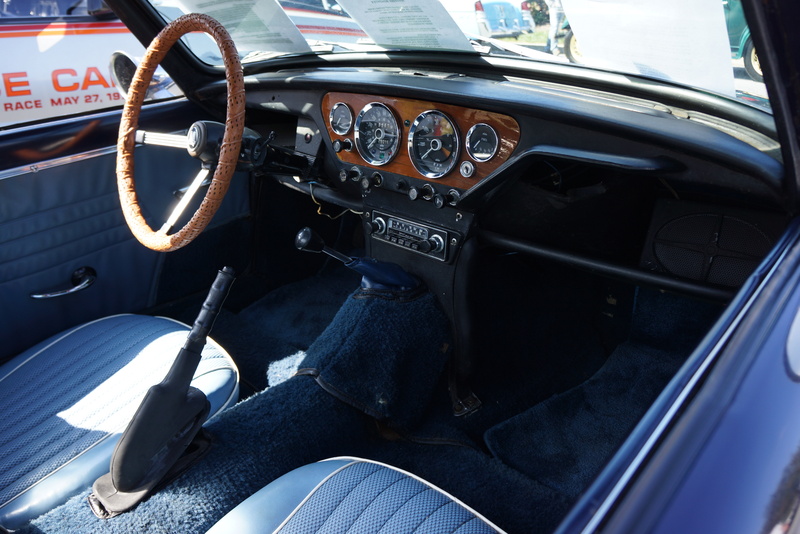 This 1969 Jaguar E-Type OTS (Open Two Seater) was claimed to be an unrestored original car with only 48,000 miles. 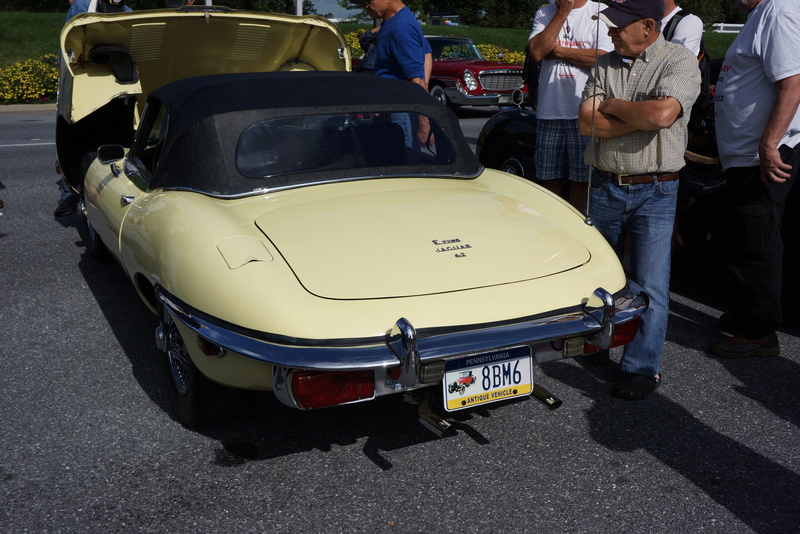 Primrose yellow is one of my favorite E-Type colors. If solid, it may be a good buy at $75,900. 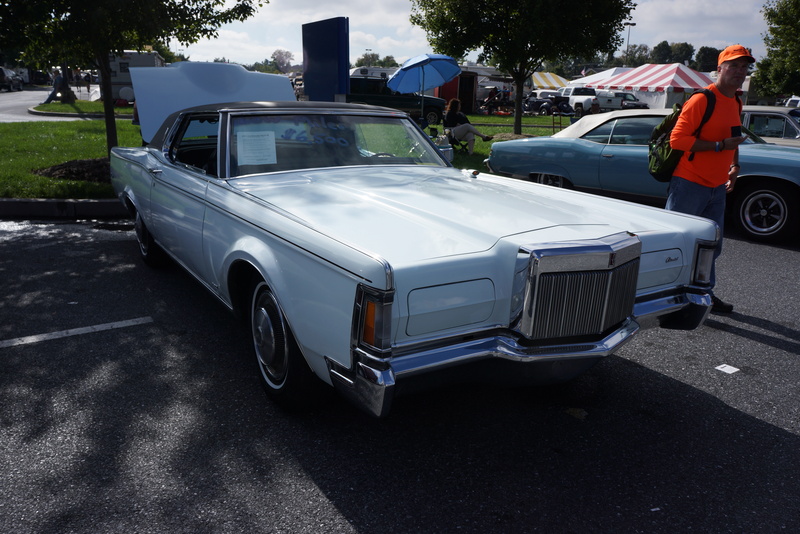 This 1971 Lincoln Continental Mark III was alleged to be a 62,000 mile all-original car. 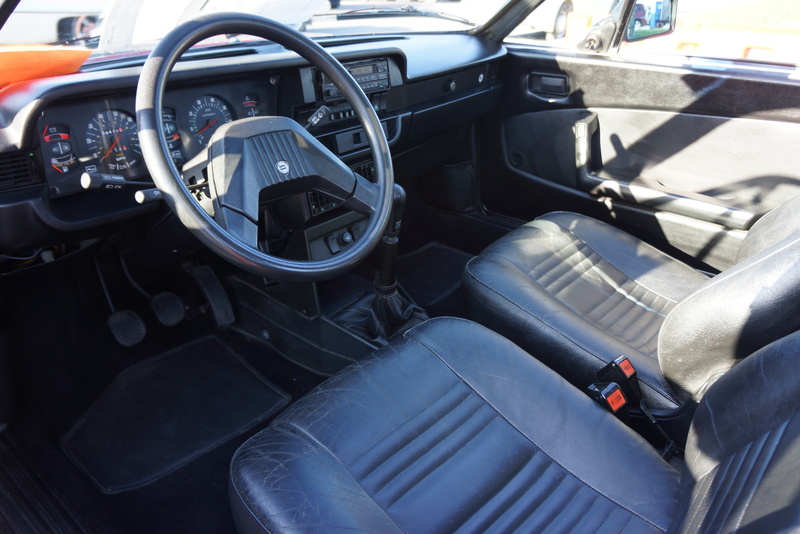 A little bland in white with a black vinyl top and black leather interior, it would look good in your garage (provided it fit) for only $6,500. 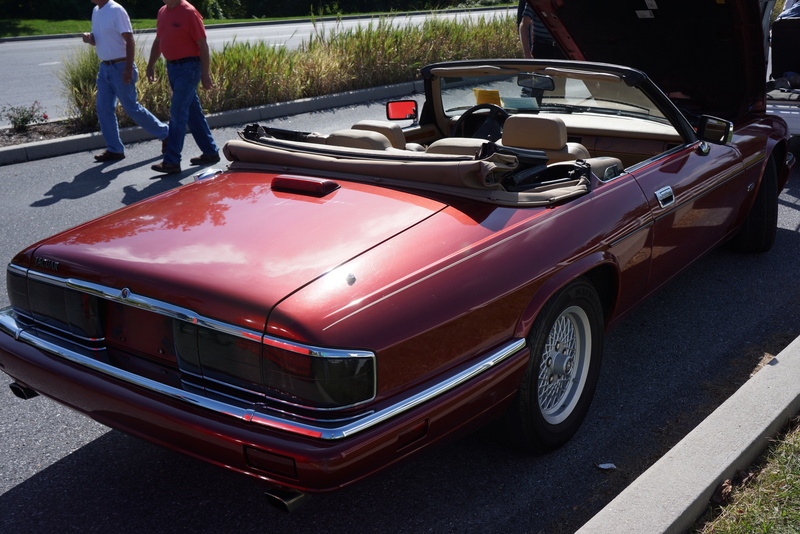 This 1994 Jaguar XJS convertible had the 4.0 six-cylinder engine, but had bad paint, with clearcoat failure on several horizontal surfaces. The ask was $7,850 /offer. 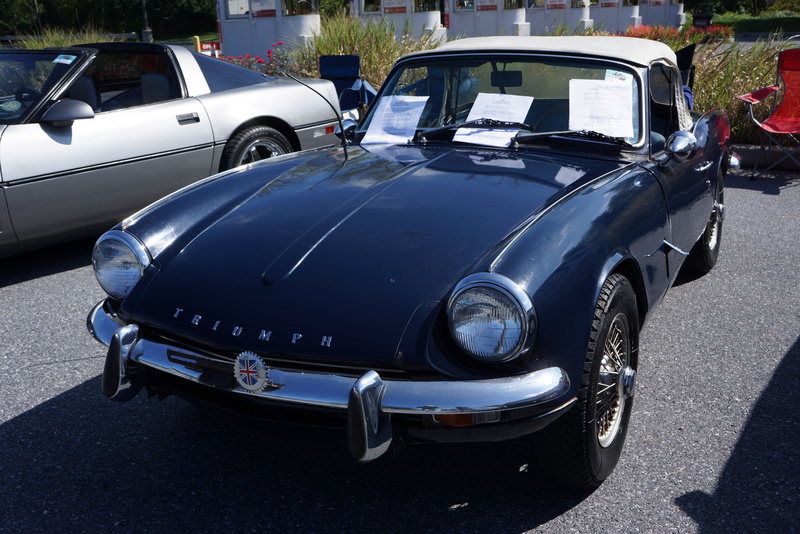 It’s rare to see a Triumph Spitfire this old that has not turned into a pile of iron oxide, but this 1968 appeared to be all there. Sure, it needed work, but it looked like you could drive it on weekends and attend to its needs during the week. 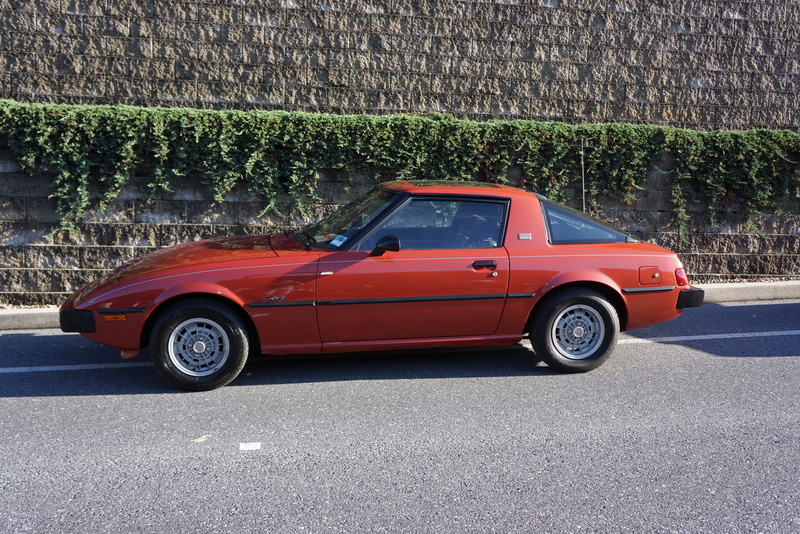 The sign claimed that this car had been put away in storage between 1986 and 2015, and that accounts for the 28k original miles. The price, you ask? $4,975. 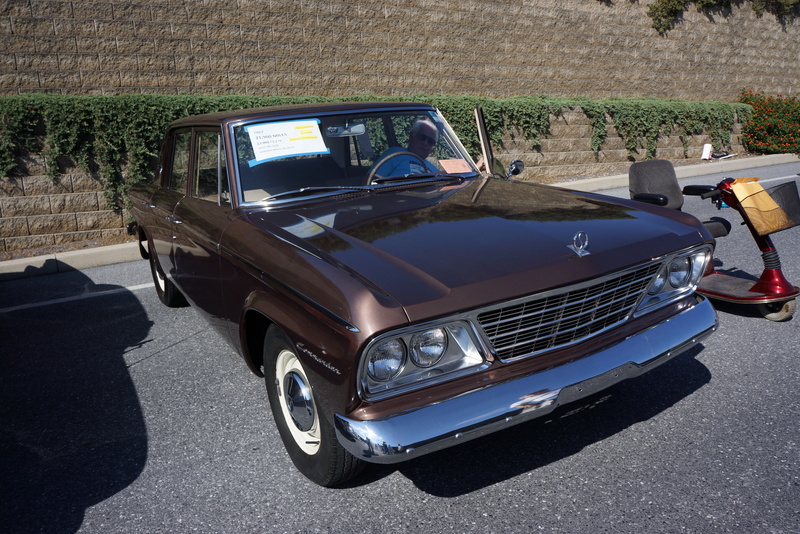 This 1964 Studebaker Commander (in Bermuda Brown Metallic, the same FACTORY shade as the GT Hawk at Carlisle last week) had 21,000 original miles on it, was an unrestored car, and looked it. 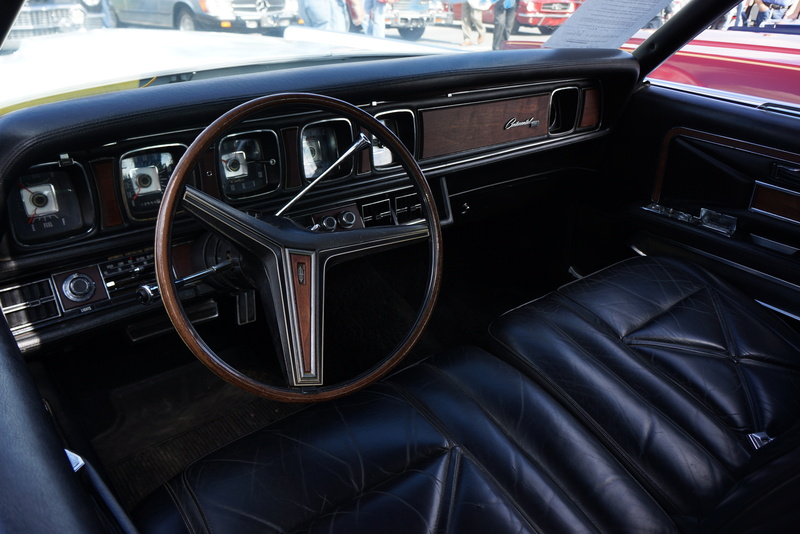 We had a lengthy discussion with the owner, who pointed out that the only option on this 6-cylinder engine, 3-speed manual car was a cigar lighter. He was asking $5,500. 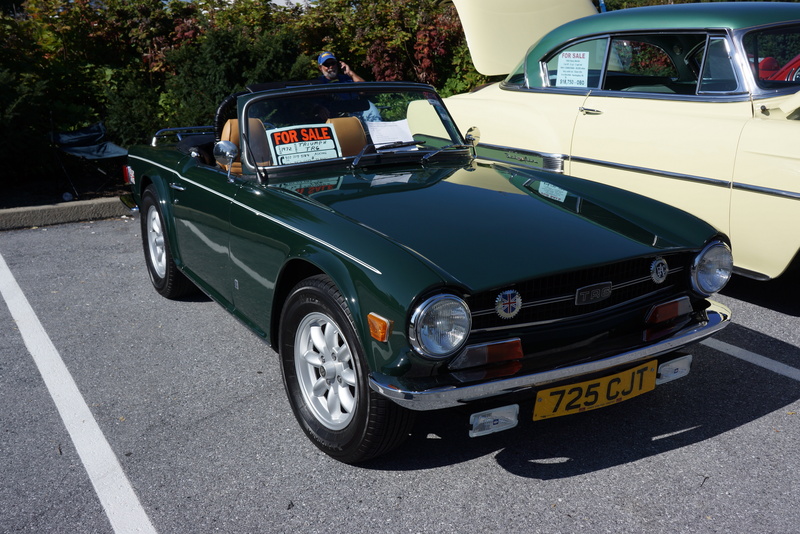 There were several Triumph TR-6s in the corral, and this was one of the nicer ones. 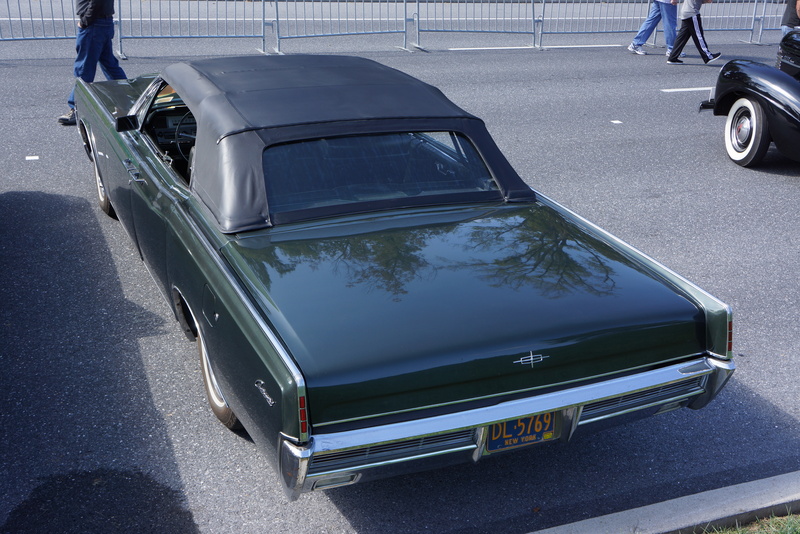 A 1972 model has the smaller bumpers, and this green-over-tan car was nicely set off by oversize tires on Panasport wheels. The mods continued under the hood with dual Webers. It was cosmetically spotless. The owners were asking $12,900. 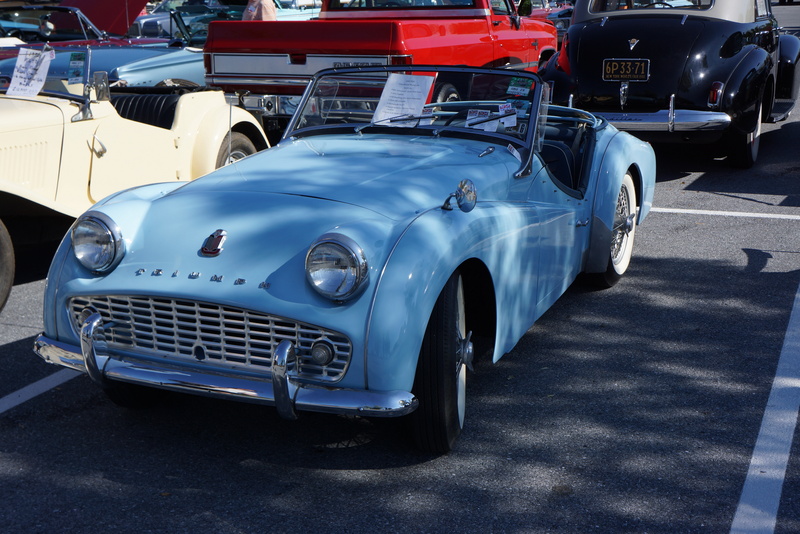 This 1958 Triumph TR-3 was in baby blue over a medium blue interior, with whitewalls on chrome wires. It looked like you could hop right in and go for a cruise. 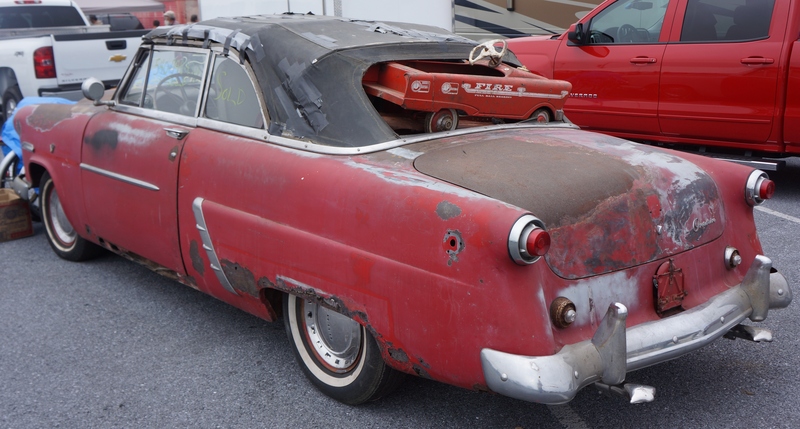 This “older restoration” was for sale for $17,900. 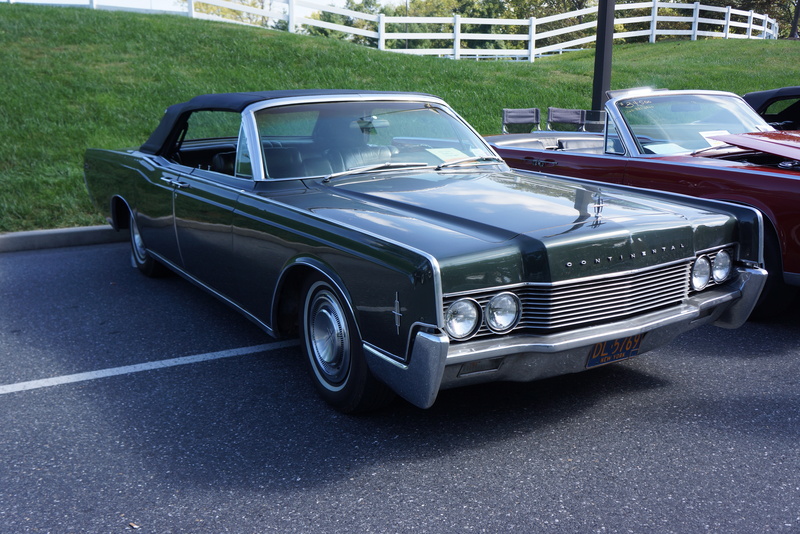 This 1966 Lincoln Continental convertible was parked next to an identical model from 1965. 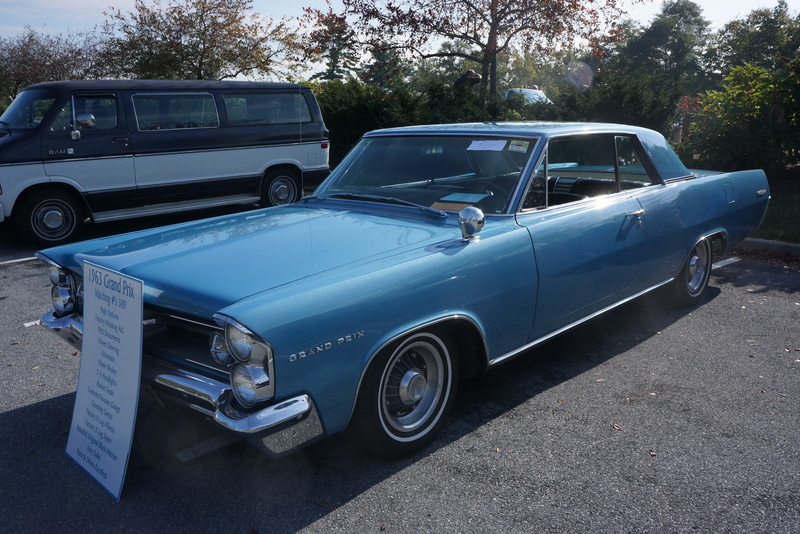 It was interesting to note the styling changes, both inside and out, with my vote going to the ’66. 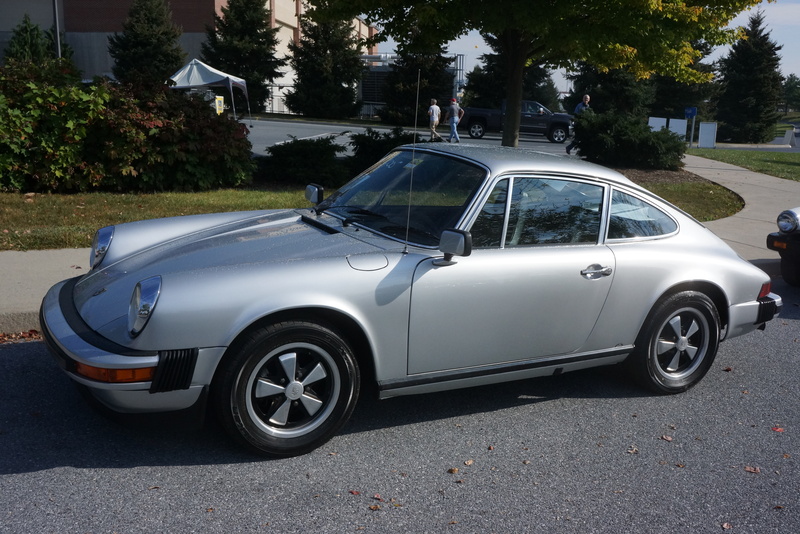 This one was cosmetically less attractive, but it had the more reasonable asking price of $20,000. 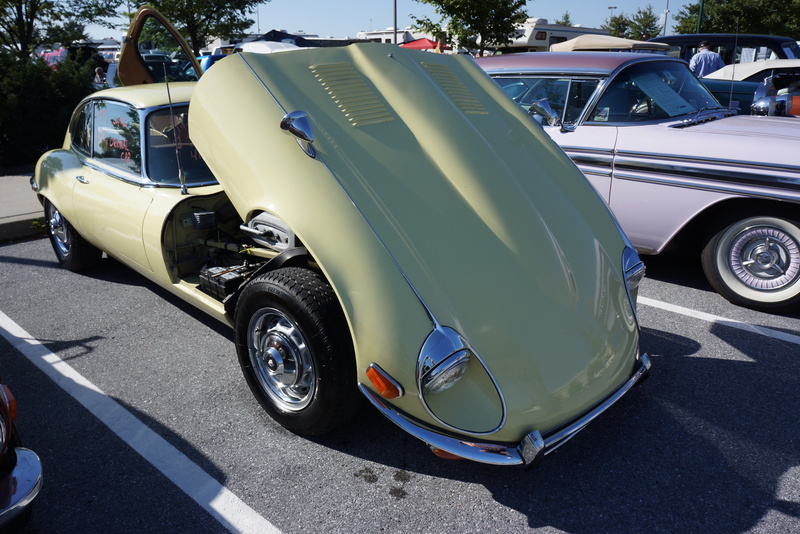 This 1971 Jaguar XKE Series III coupe, again in Primrose yellow, was claimed to be a 97,000 mile unrestored car (you may have noticed the continuing trend toward “unrestored / all-original / barn find” cars for sale). 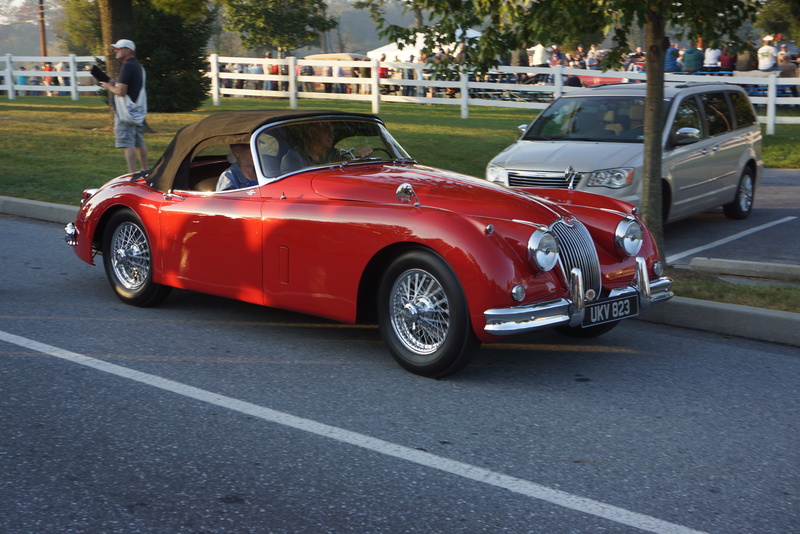 All Series III cars rode on the longer 2+2 wheelbase and used the V-12 engine. 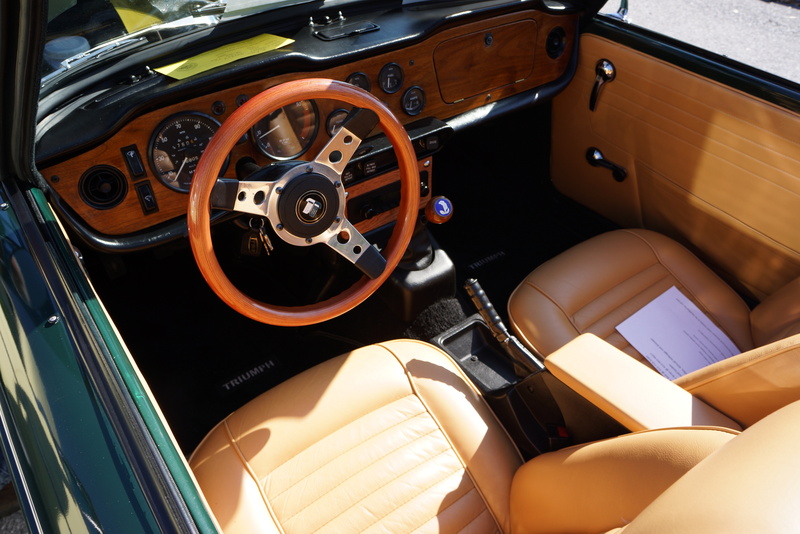 This one was a stick (many Series III cars were automatic). 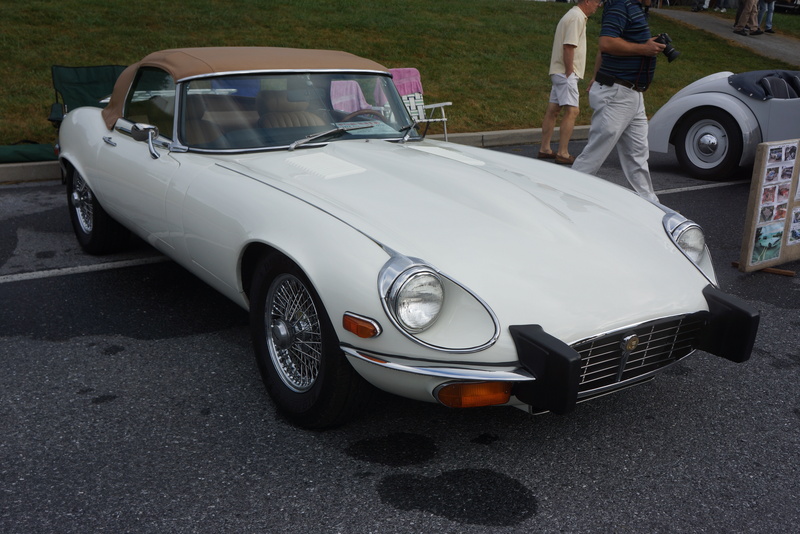 There were rough spots, but it was about as reasonably-priced an E-Type as you’ll find for $39,000. 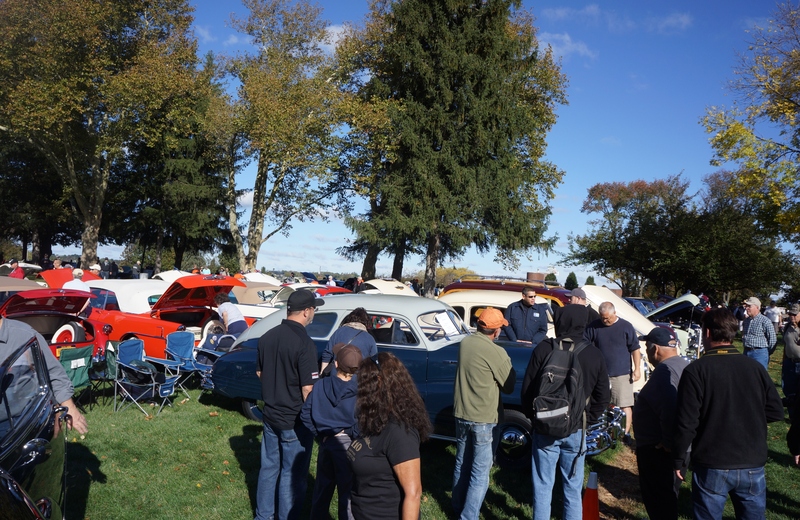 The annual car show formally called the “Antique Automobile Club of America Eastern Division National Fall Meet”, but known the world over simply as “Hershey,” was held for the 60th time on October 7-10, 2015. 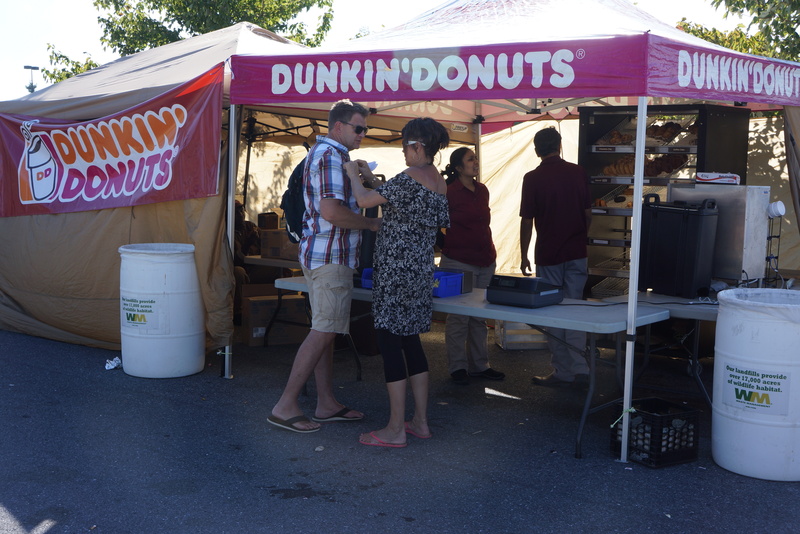 The event takes over most of the 121-acre grounds which are Hersheypark, plus some adjoining property. 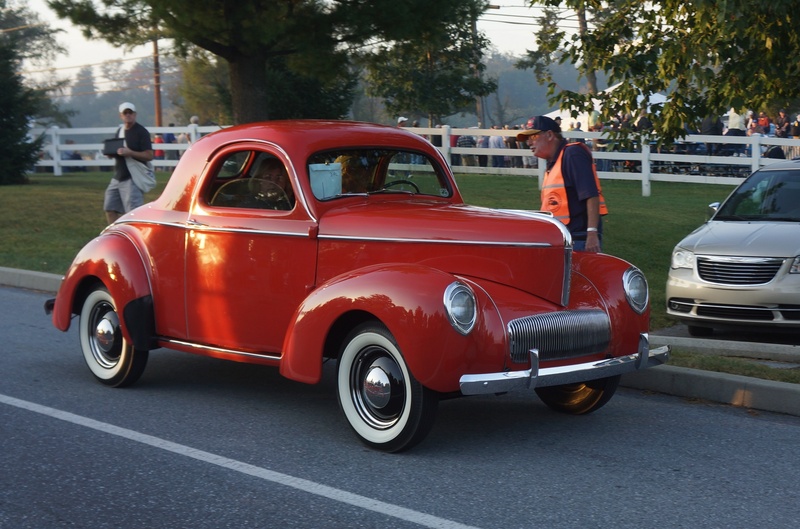 The town of Hershey PA, which not coincidentally is also home to national AACA headquarters, gives itself completely to “Hershey Week”. If you want a nearby hotel room next year, book it 4-6 months in advance. 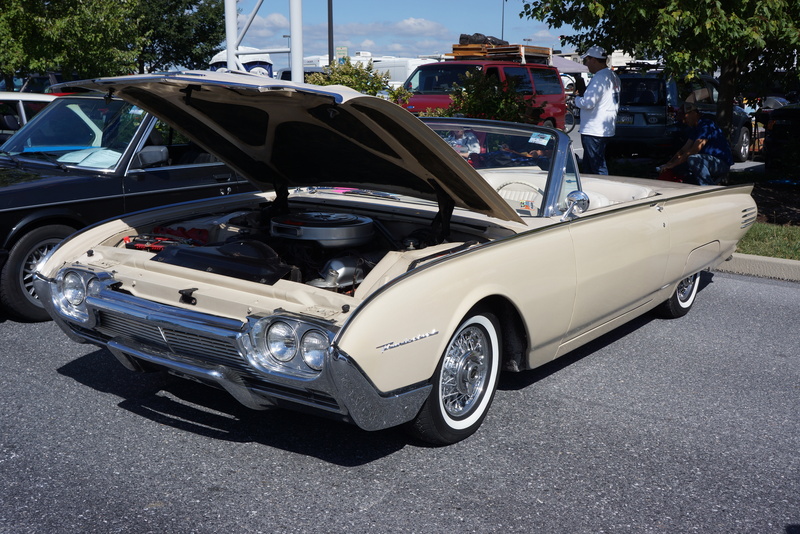 For those who have never been to Hershey, describing it as the biggest car show on the East Coast and one of the biggest car shows in the world does not do it justice. 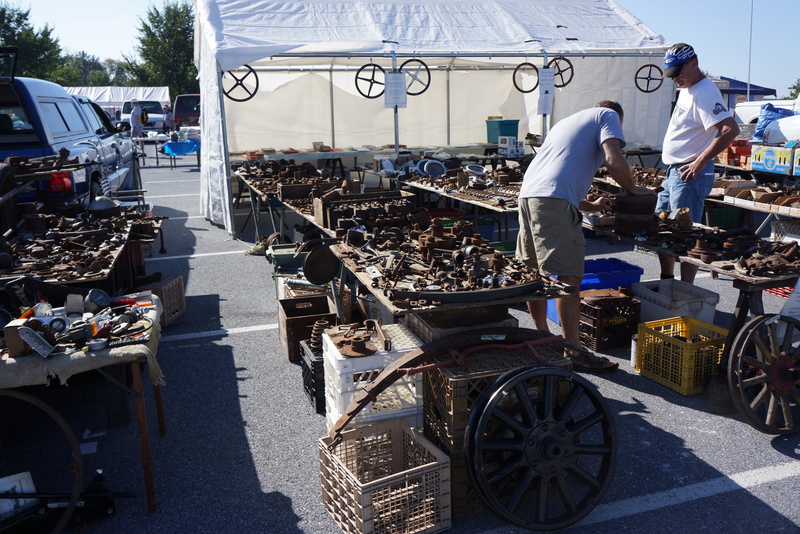 Most of Hersheypark’s paved lots are blanketed with flea market vendors. 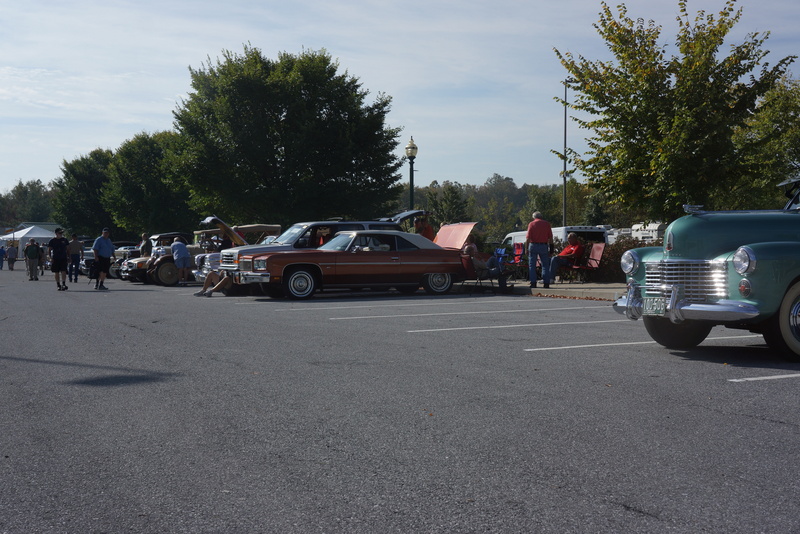 Hundreds of antique and classic cars are offered for sale in the Car Corral. 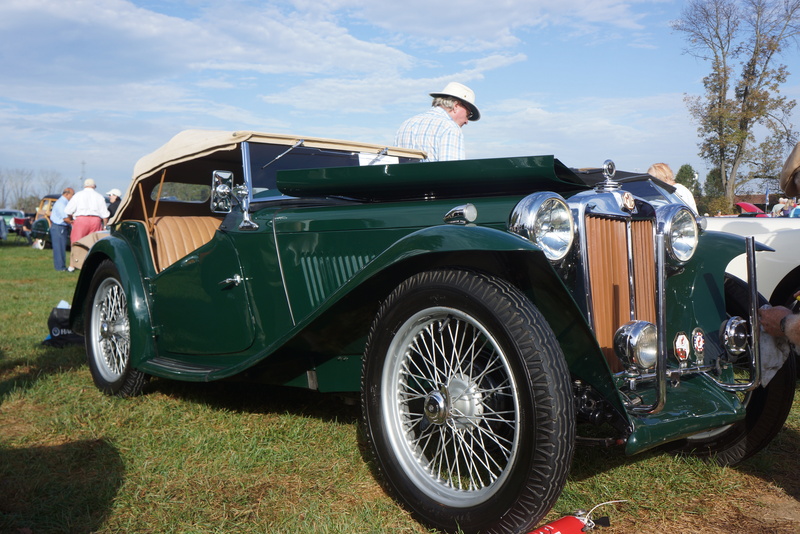 Saturday is the show’s raison d’être, as the finest restored cars and trucks in the country compete at a judged car show. 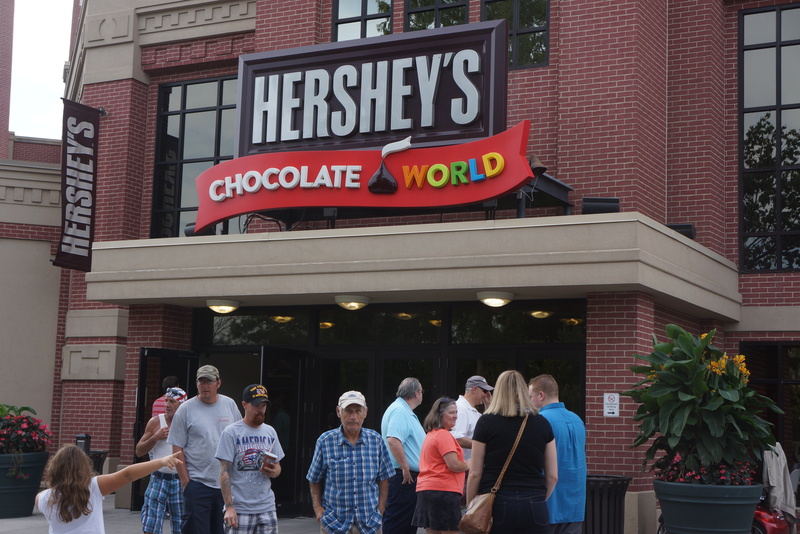 Hershey attracts participants and spectators from around the world, many of whom have been making the annual trek for decades. These die-hards renew old acquaintances, seek out valuable parts needed for their restorations, and buy and/or sell cars with regularity. Your scribe first attended Hershey in the late 1970s, and has not missed a meet since the late 1990s. 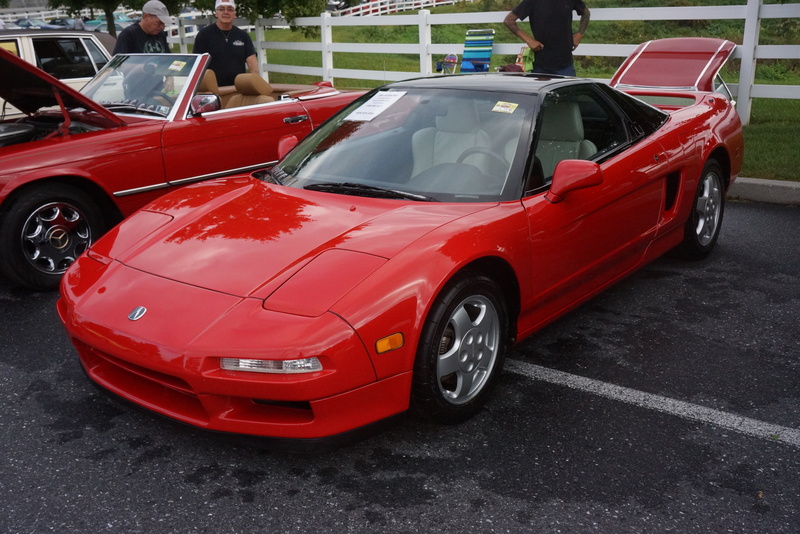 If your interest is in stock (meaning unmodified) cars that are 25 years old and older, as required by AACA guidelines, this is the place to be. Newer and heavily modified vehicles (and parts for them) need not apply. Hershey is endemic of, but not responsible for, many of the changes we’ve witnessed as the hobby has grown, changed, and matured. 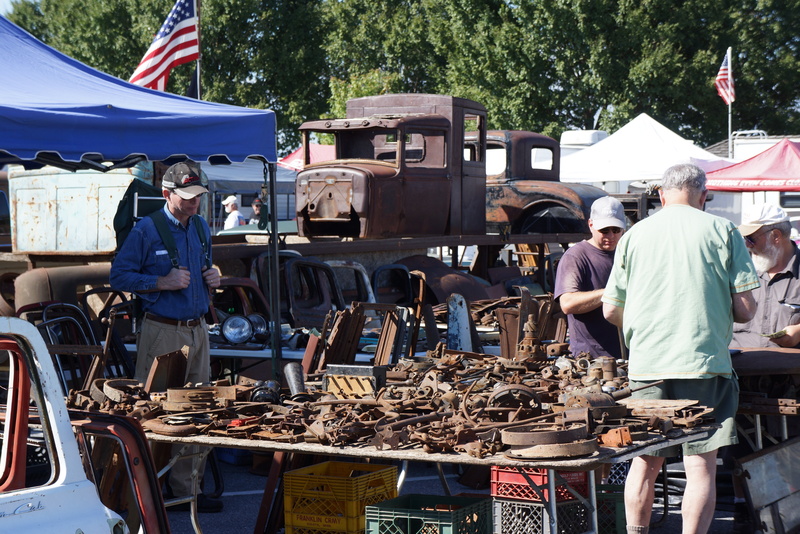 In years past, an automotive flea market consisted of vendors with rusty old junkyard parts, or obsolete dealer parts stock. Either way, the parts were in milk crates, scattered on folding tables, or spread out on tarps on the ground. You had better well know your needs, because you were going to spend hours looking through those piles to find that gem in the rough. 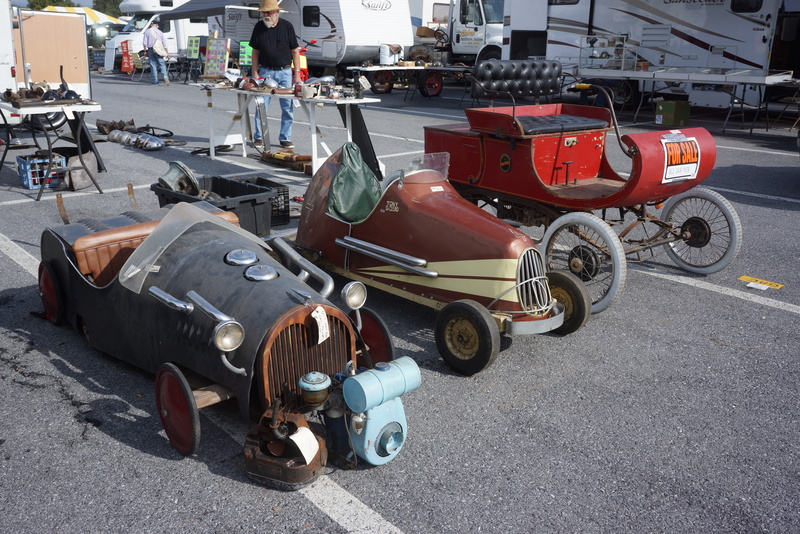 At many flea markets today, you can seek out a vendor who specializes in your make and model vehicle. Once you inform the vendor of your vehicle particulars, the part, remanufactured as an aftermarket component, probably “offshore” (a nice euphemism which allows you to avoid saying “China”), is handed over, neatly packaged in hard plastic. This is if you even bother to attend the flea market. Much of this stuff is available online with a few clicks of the mouse button. 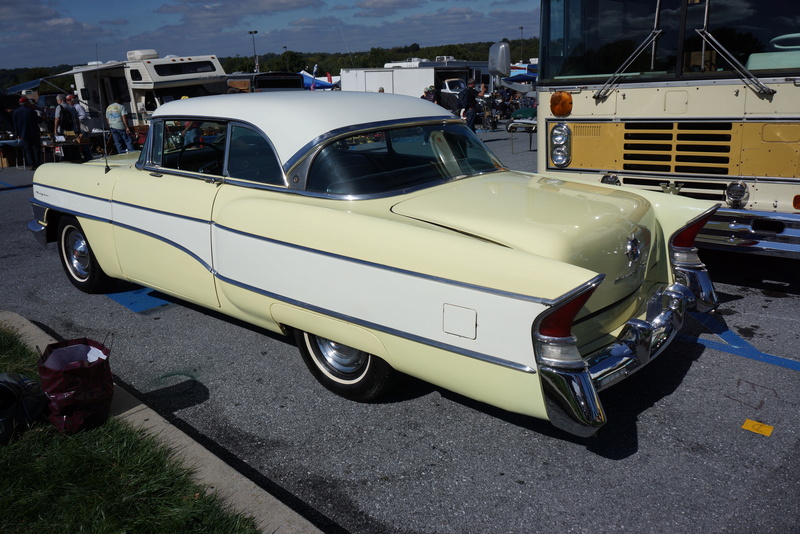 The Hershey Car Corral always has a nice variety of cars for sale. This year, the variety of domestic and imported vehicles seemed greater than usual. 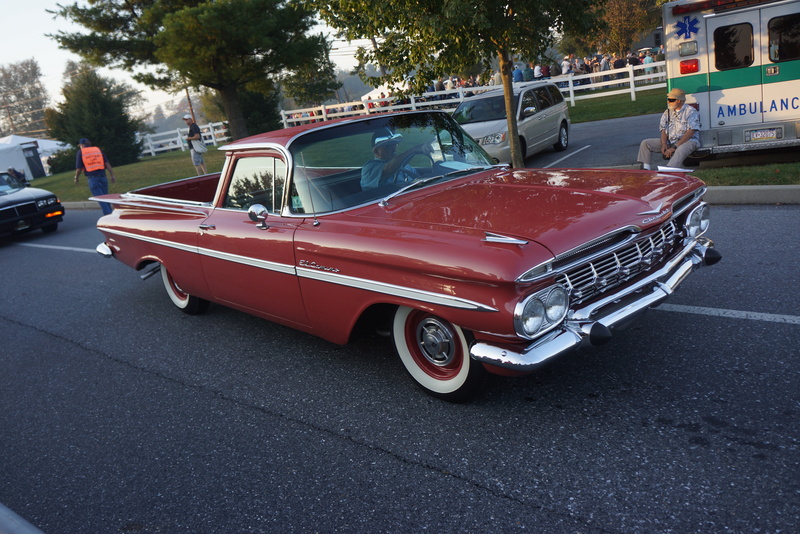 That is not to say that every car in the corral is an instant classic. 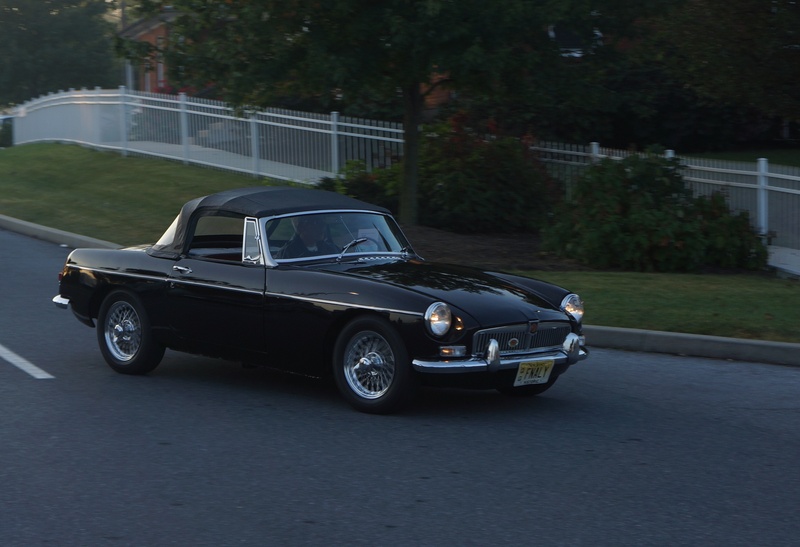 There are those run-what-you-brung cars that look like they were someone’s daily driver as recently as last week. Part of my reaction to these cars is because I was of driving age when they were new. 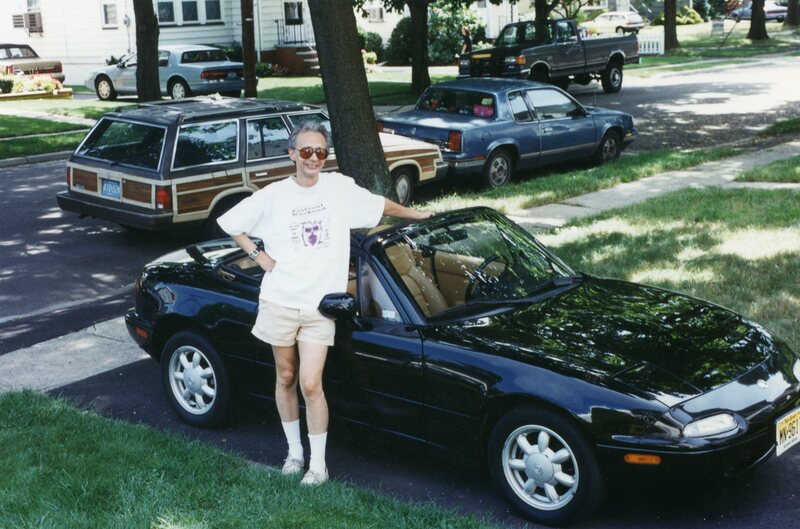 Heck, I saw cars for sale that were new at the car dealerships where I worked in the 1980s. The good news is that many of these types of cars have low asking prices, and can serve as excellent starter vehicles for someone new to the hobby. (My friends and I enjoy pointing these out to those who say the hobby has become too expensive to enter.) Here are some random choices for those with limited means who still want an AACA-eligible car. 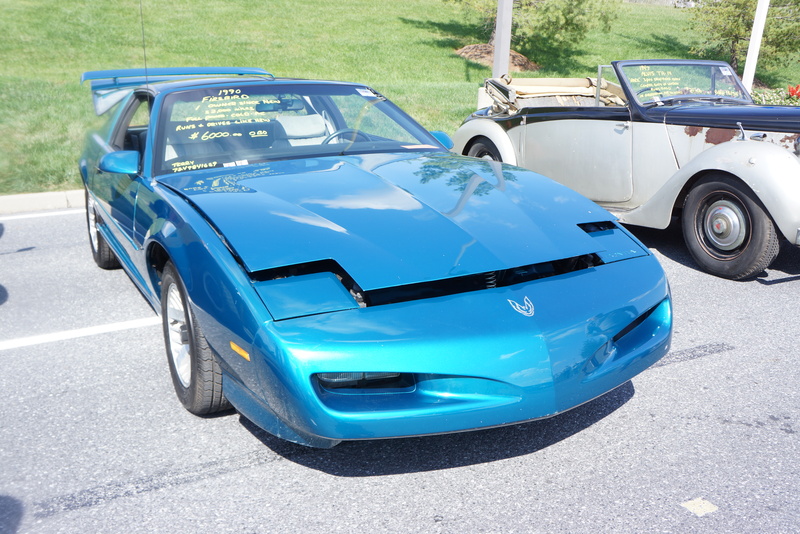 One of the few car corral vehicles from the newest-allowable model year, the sign on this 1990 Firebird claimed it to be a one-owner car with 52,000 miles. 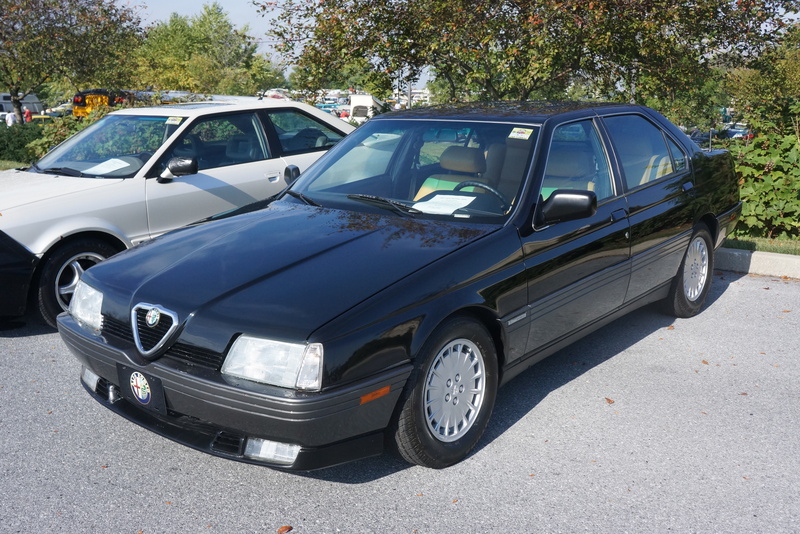 The asking price was $6,000, likely held back because of the V6 under the hood. But moving down the road, who would know? 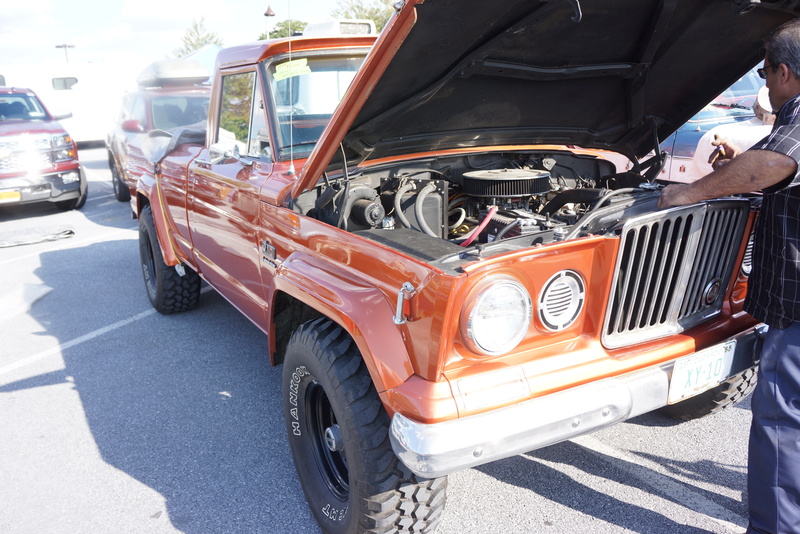 With an asking price of $4,800, this 1965 Jeep J-10 pickup truck is rare. Many were used as work trucks and long ago met their fate at the crusher. 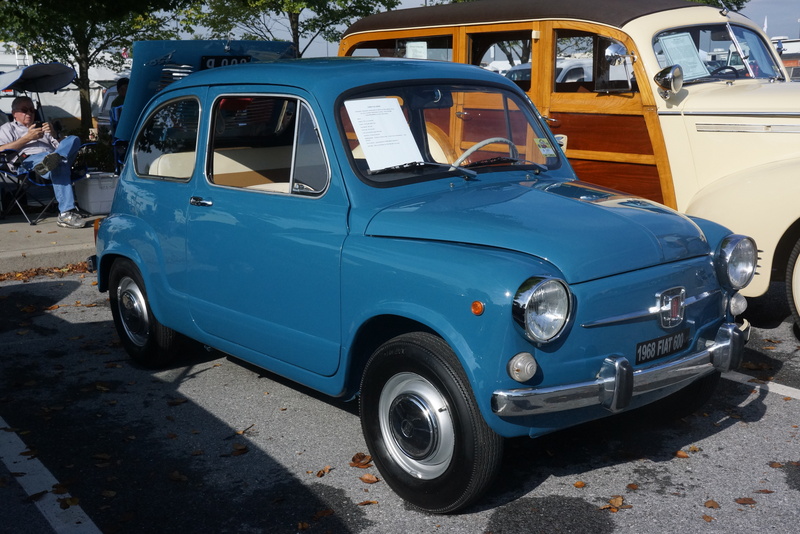 Four-wheel-drive and V8 power meant that little was going to stop your forward motivation. 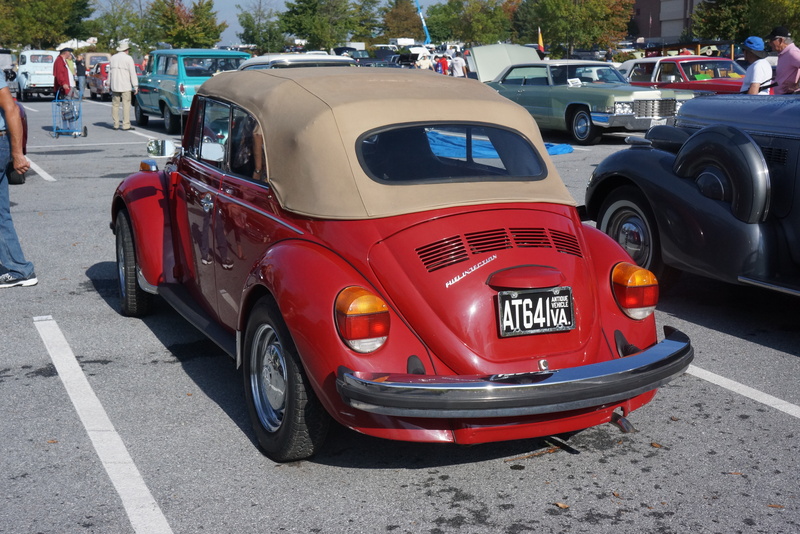 The Colorado license plate helped assure that there was little to no body rust (none that could be seen with a cursory look). 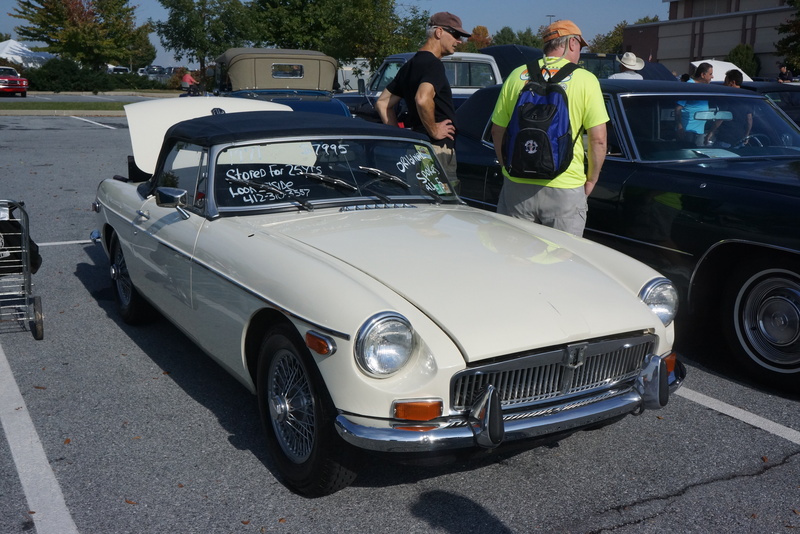 Buy this and you’re practically guaranteed to have the only one at the next Cars & Coffee. 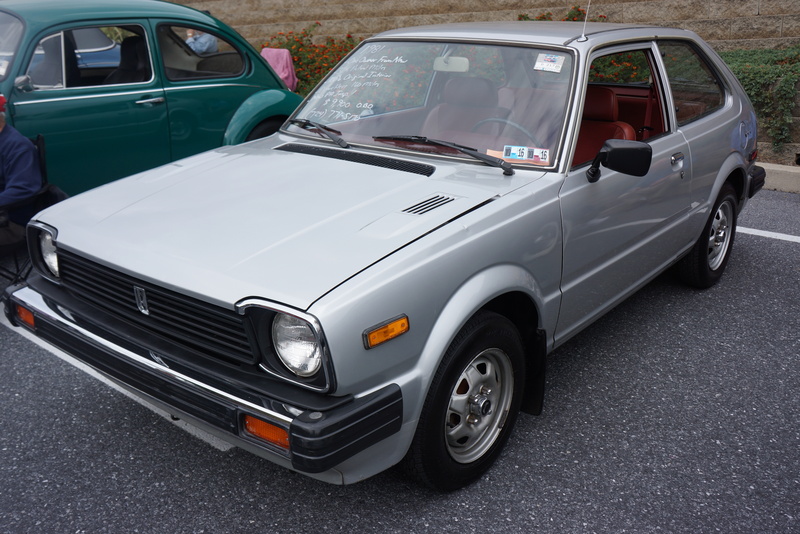 Squeaking in under the wire of our self-imposed $10,000 limit with an ask of $9,900, this 1981 Honda Civic had many scratching their heads. Sure, by year and unmodified condition, it’s eligible. My personal reaction is that I remember doing new-car prep at the dealership on them, and my then-best friend bought one of these new. They CAN’T be allowed here, can they? 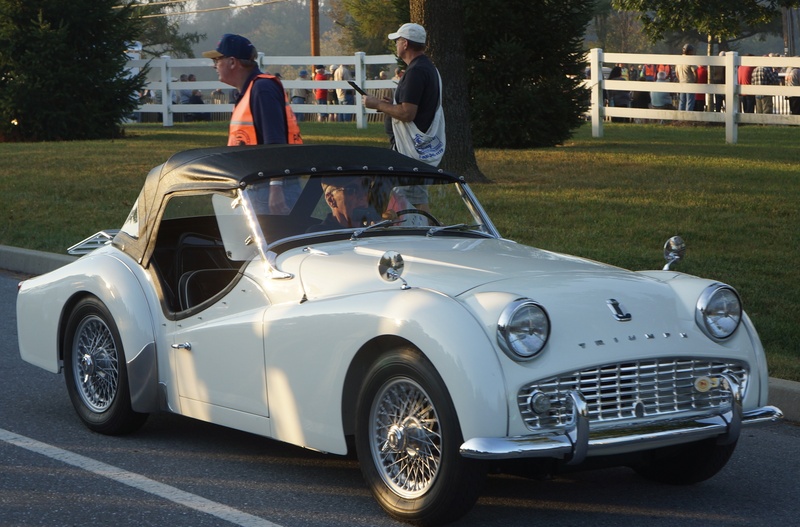 By my account, the least expensive operational vehicle in the car corral, this Triumph appeared to have arrived under its own power. The sign on it said “new transmission, new clutch, new interior, runs great, fun car!” Asking price? $2,800. Make ‘em an offer. 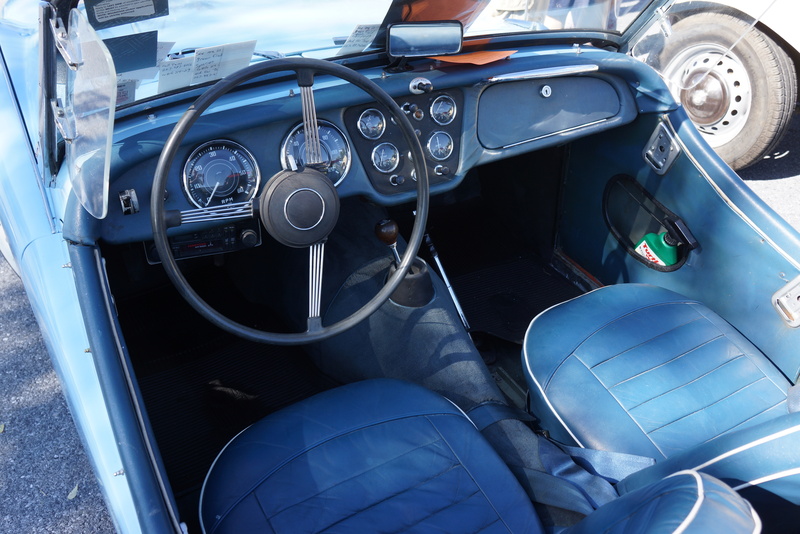 This car’s cleanliness belied its reported 123,000 miles. 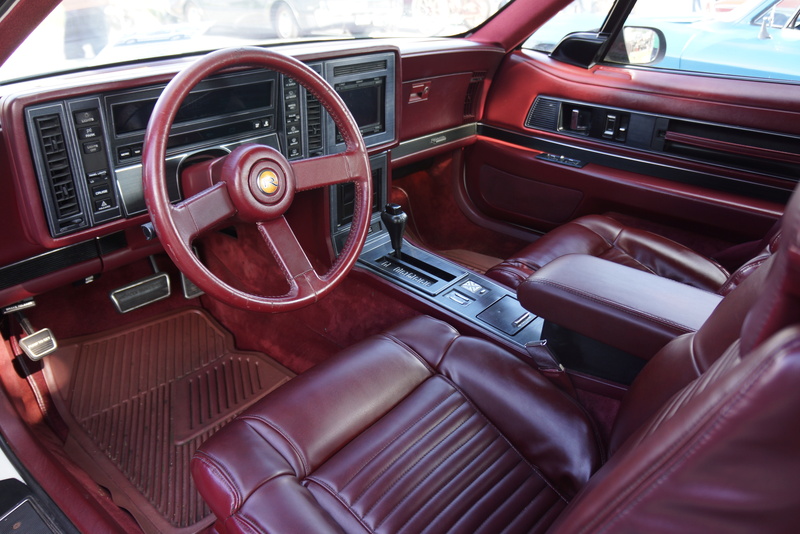 The paint and interior were unblemished. It was a stick to boot. Thursday’s price was $7,400, Friday’s was $6,500. Don’t know if he sold it, but this was a later “Z” that wouldn’t require the gold chains to be worn (by you, not the car). My Caddy friends assure me that these first-generation Sevilles are future collectibles. We’ll see. However, if you wanted a sharp driver in a very appealing black over red, this car could do it. 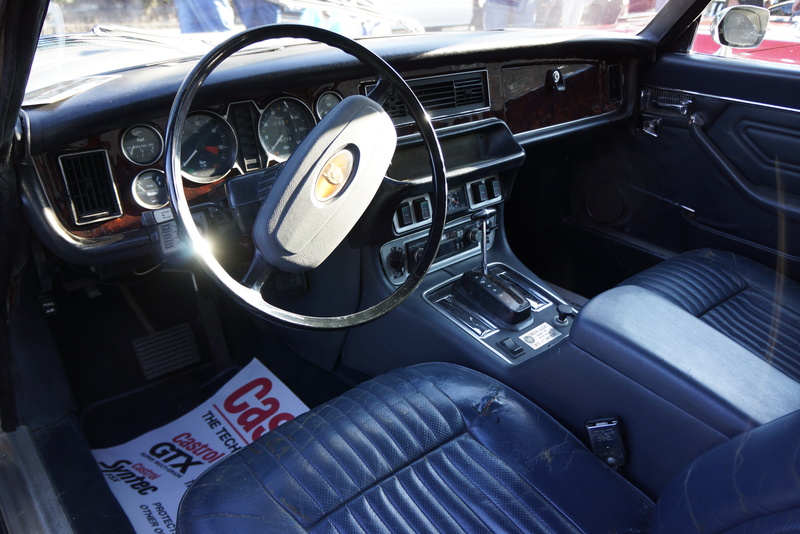 The windshield write-up claimed it to be a one-owner, 80k car. Another one going through a fire sale, Friday’s price was $5,600, down from an earlier $5,900. 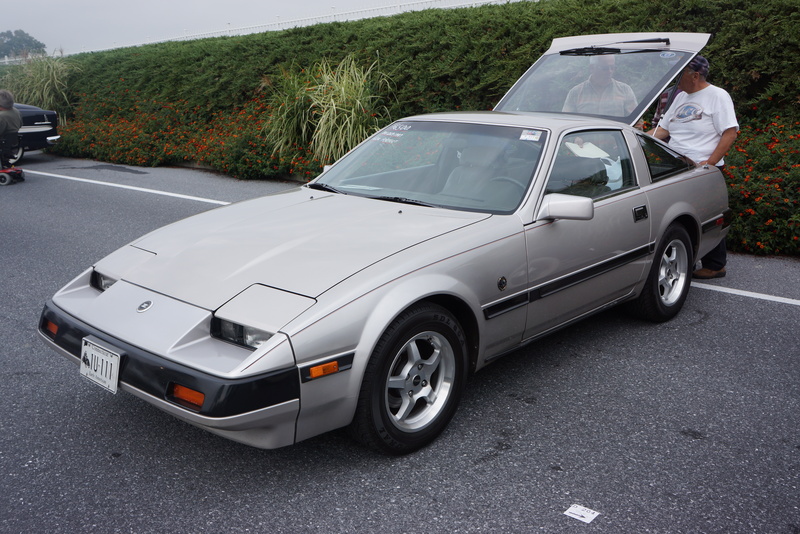 First generation Mazda RX-7s are another model which pundits claim will double in value “soon”. Hasn’t happened yet. In the meantime, good clean cars sell for credit card money, and someone is having fun. 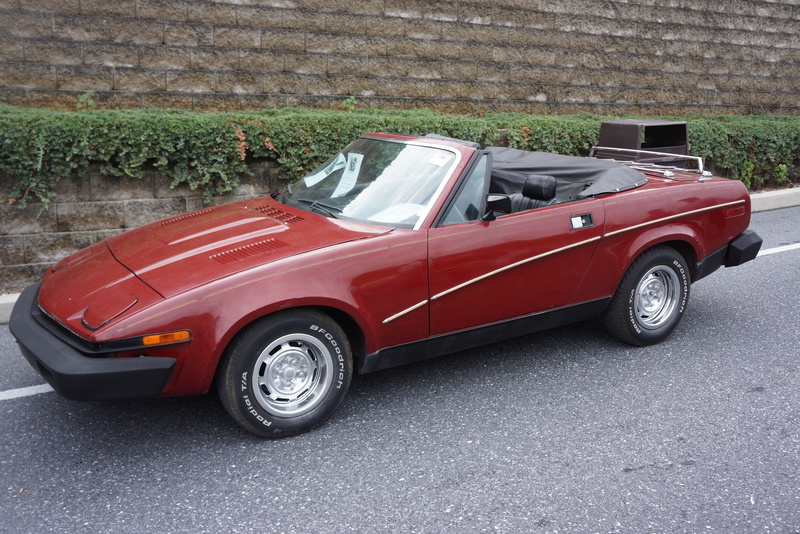 This 1980 rotary rocket with 82,000 miles could be yours for $7,850. Handwritten next to the price was “let’s talk $”. Sure, SS 396 Camaros and Shelby Mustangs are never going to make mention in a chapter called “sub-$10,000 cars”. But that’s not to say that good ol’ American performance can’t be had at that number. How about a Corvette? Seriously. 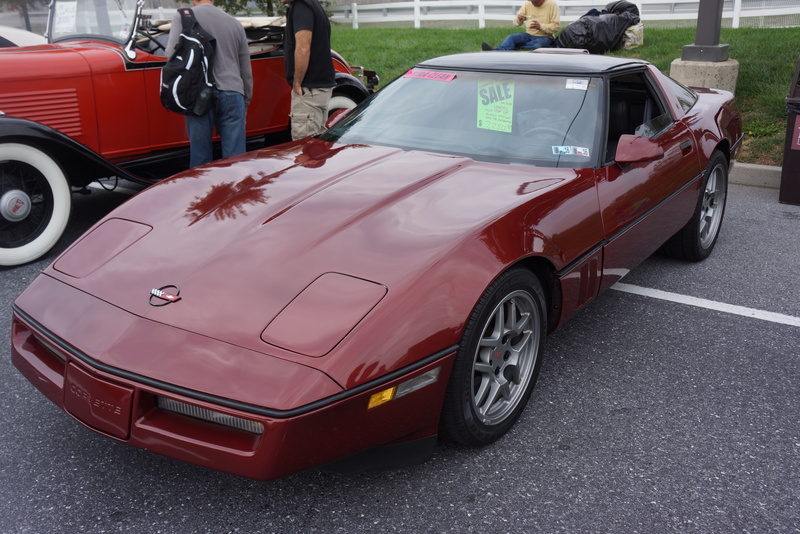 The C4 Corvettes (1984-1996) are quite affordable right now. 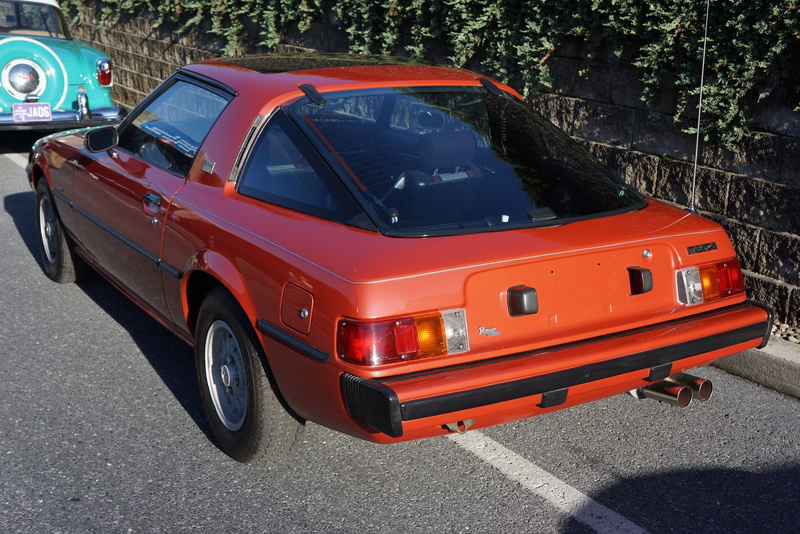 Here’s proof, in the form of a 1987 coupe. Yes, it’s a 350/auto with incorrect wheels, but at $7,750, it’s something you could drive every day and display at cruise nights. 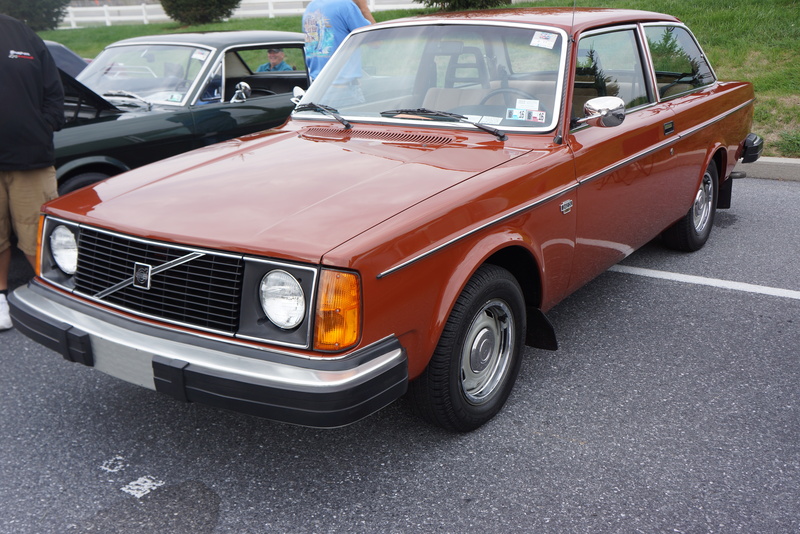 By contrast, this 1979 242DL, with automatic and (dealer installed) a/c, was super clean, and in that requisite 1970s brown. But $12,500? See sub-$10,000 cars above. 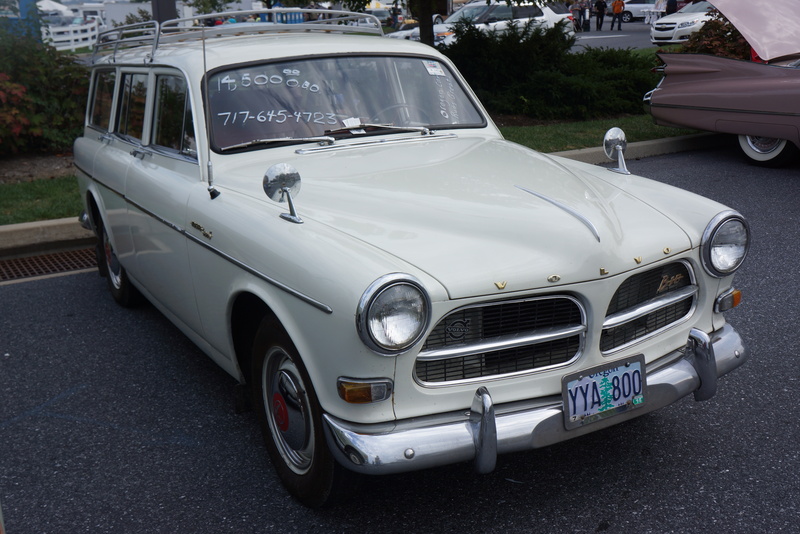 This Volvo was for someone who HAS to have this particular configuration. 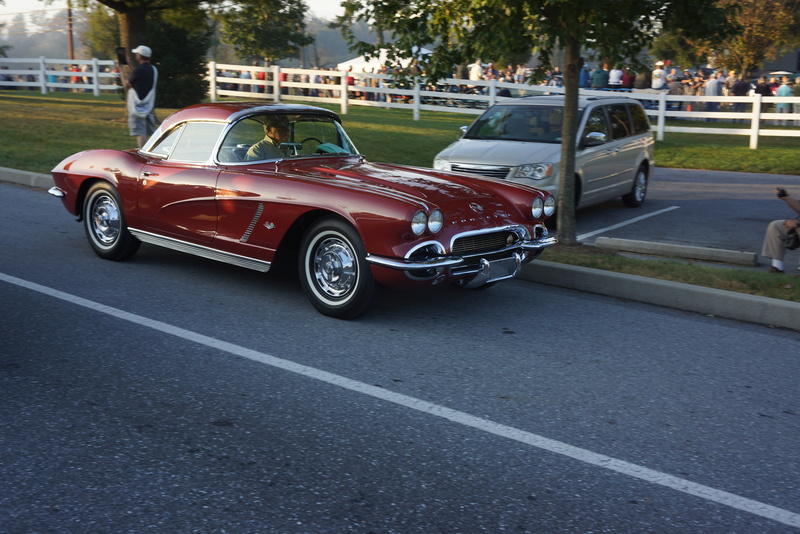 Not every car for sale at Hershey is in the designated car corral. 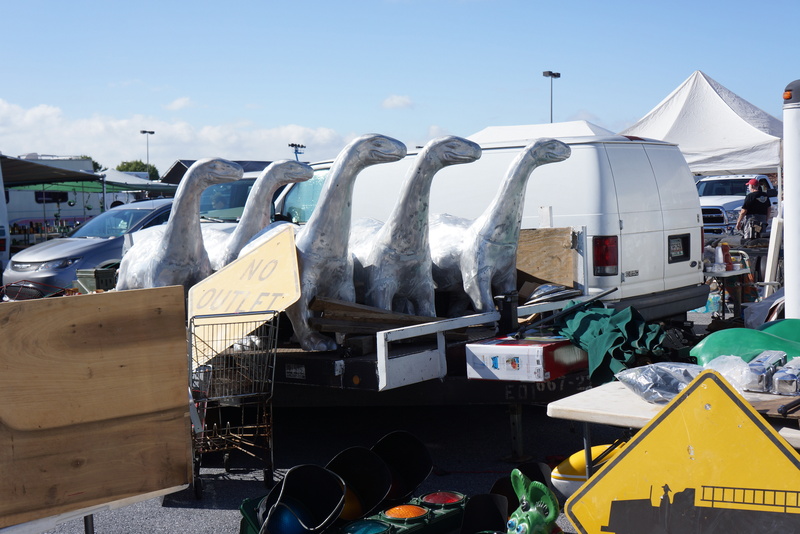 There were some interesting finds in the flea market area. 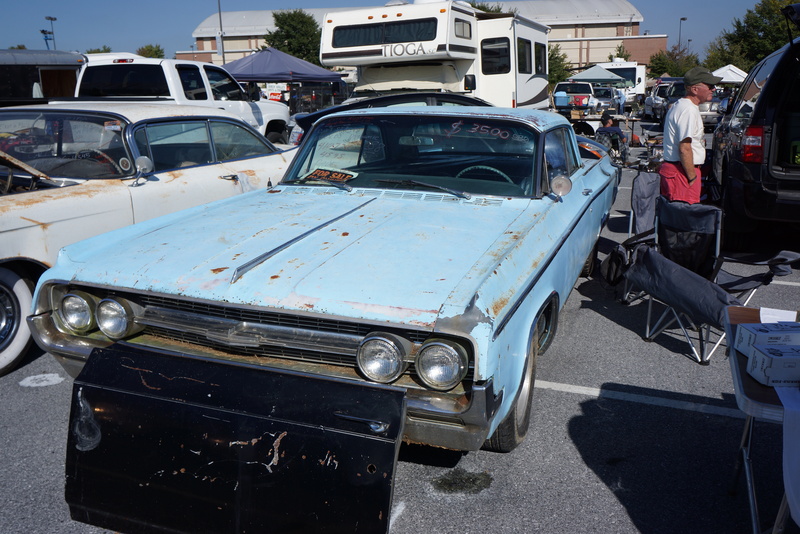 There are also cars for sale in the parking lot, possibly as a way to avoid paying the AACA car corral fee. 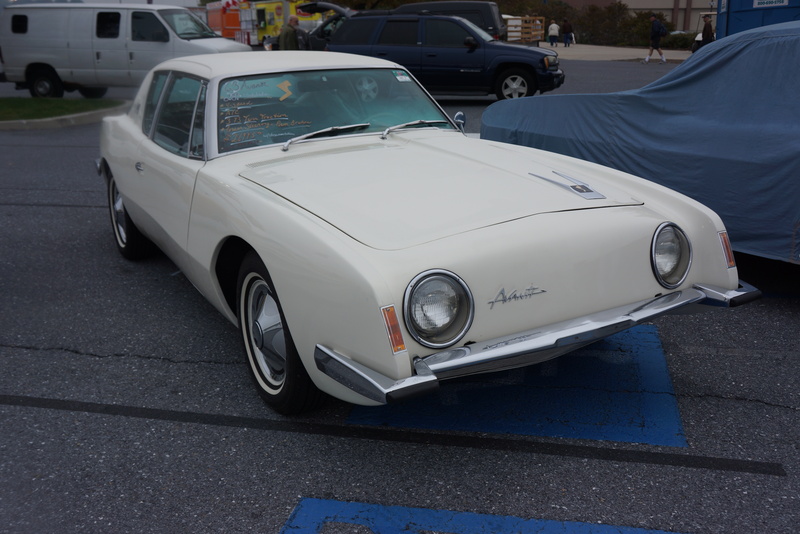 This Studebaker Avanti from the first year of production is distinguishable by its round headlight bezels. This car also has the desirable 4-speed with factory air. At $26,995, the asking price fell in between CPI’s “good” $14,000 and “excellent” $29,000 values. 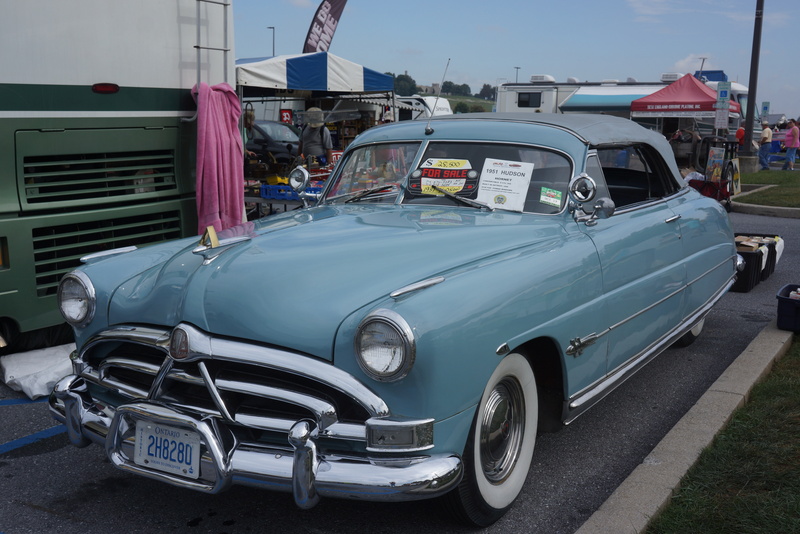 This 1954 Ford convertible was hanging out in the flea market. The asking price, if it had been displayed, was now gone, and the car was marked “sold”. Given its overall dreadful condition, I took it as a healthy sign for the hobby that someone out there was willing to take it on. No word whether the Fire Chief pedal car was included (might be worth more than the Ford). My great friend and fellow rally driver Steve H and I have made the trip to Hershey together numerous times. 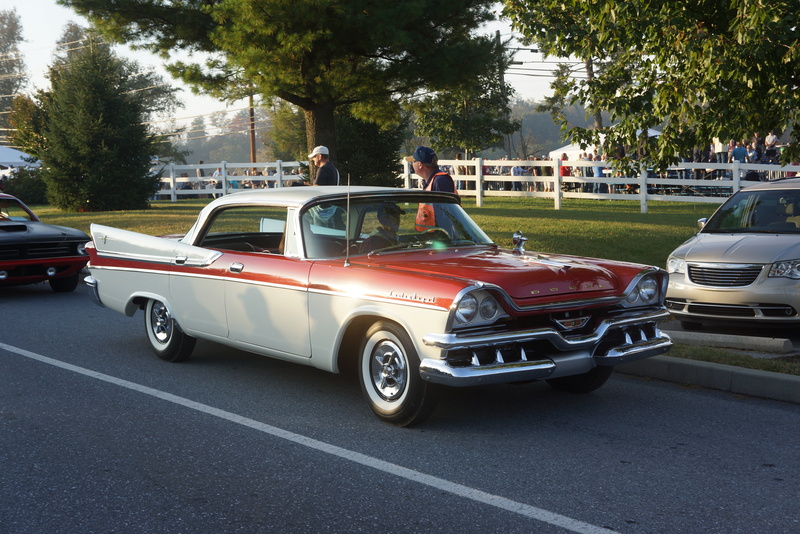 It was one trip in the 1990s when we discovered that if we arrived early enough on Saturday morning, we could have the pleasure of watching the parade of cars as they entered the show field (AACA rules require that show cars be driven onto the field under their own power). 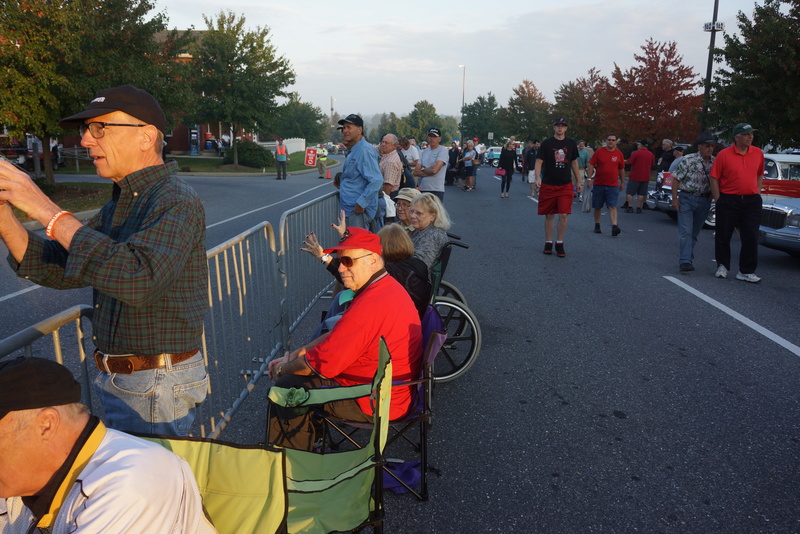 As has become my custom, I was on the grounds before 8 a.m., and found a good viewing spot. It is endlessly entertaining to see the cars. If you’re close enough, you can also capture the drivers’ faces, almost every one of them grinning as they proudly pilot their machines. 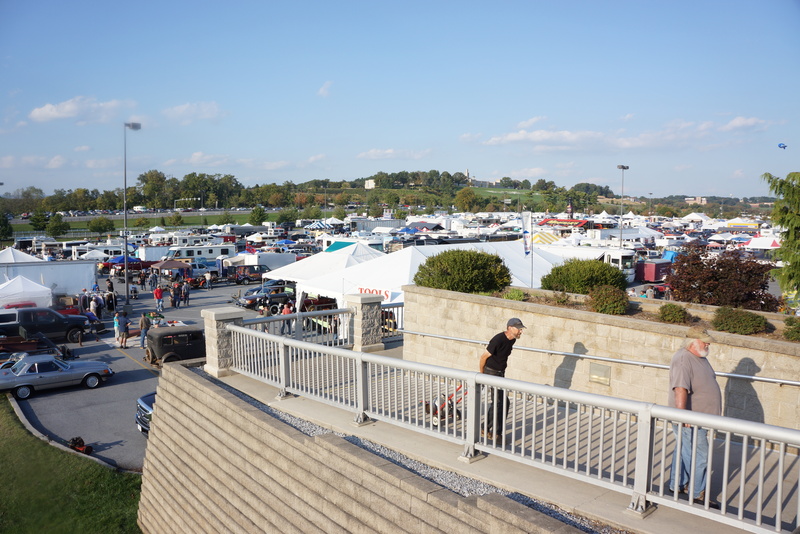 Below is an assortment of vehicles moving under their own power before finding their designated show field spots (click on these, or any photos in the post, to enlarge them). Sometimes, the “business” of the hobby causes us to forget that this IS a hobby, which means we’re doing this for fun. 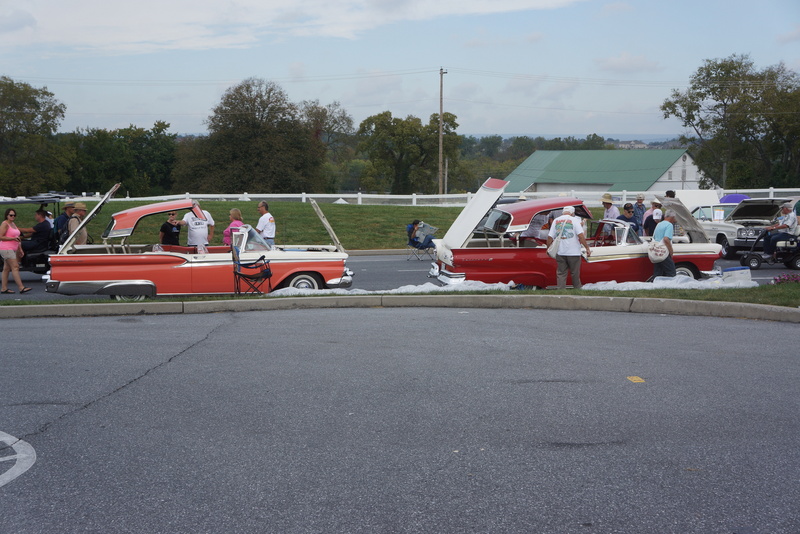 And looking around at the sights and sounds, plenty of people at Hershey are having fun. We’ll leave you with a few photos as reminders. All photographs copyright © 2015 Richard A. Reina. Photos may not be copied or reproduced without express written permission.